As a young boy growing up in an impoverished neighborhood in a small city in Southern California, I recall walking by beautiful townhouses in the wealthier part of town and thinking to myself what the rich people I saw living within must be like. I was sure I would never be able to live that way and had a difficult time even conceiving of the idea. One of the benefits that my generation had was being born soon after WWII. Although my parents were uneducated and poor by any standard, our mother was a strong woman. Managing and maintaining a house while raising 10 children required tremendous will, organization, and planning. Fortunately, the country was beginning to experience a surge of economic growth that hasn’t occurred since. The benefit of this growth was that jobs were being created as the economy expanded. And although our father never worked at anything other than as a field hand, mostly picking citrus, his children were all able to leave the fields and pursue careers that would allow them to own their own homes and raise their children. Comparatively, prices for commodities were low so owning a home and affording a car were within reach. Growing up in that era or in my neighborhood wasn’t all peaches and cream. Socially and politically, there were many hurdles to overcome, but the economic surge created a burst of creativity and a golden age in the arts. Jazz blossomed with the likes of Coltrain, Bassey, Miles, Baker, Brubeck, and Evans. Rock ‘n Roll, Hollywood, literature, theater, dance, and many other arts saw new and exciting innovations. 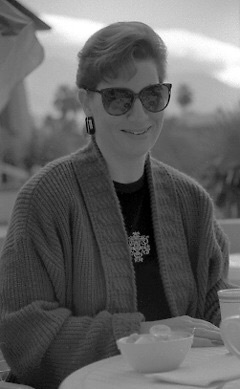 Because of financial assistance and equal opportunity programs instituted in the sixties, the possibility of attending a California university became a reality. 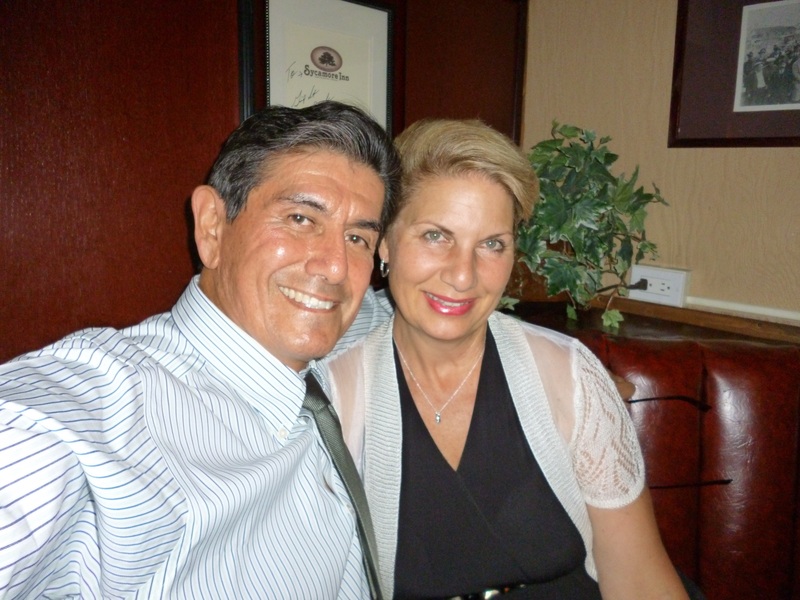 Jobs were plentiful and one could retire from a company after a life-long career with benefits. Funny how your own circumstances (as a child), can put a heavy curtain in front of your eyes. If you grow up poor, your parents struggle just to raise you, you don’t have a role model to look up to or to guide you, and you are made to believe that a higher standard of living isn’t possible for you, it is very difficult to pull that curtain aside. So I feel fortunate. I am living a life I couldn’t conceive of. 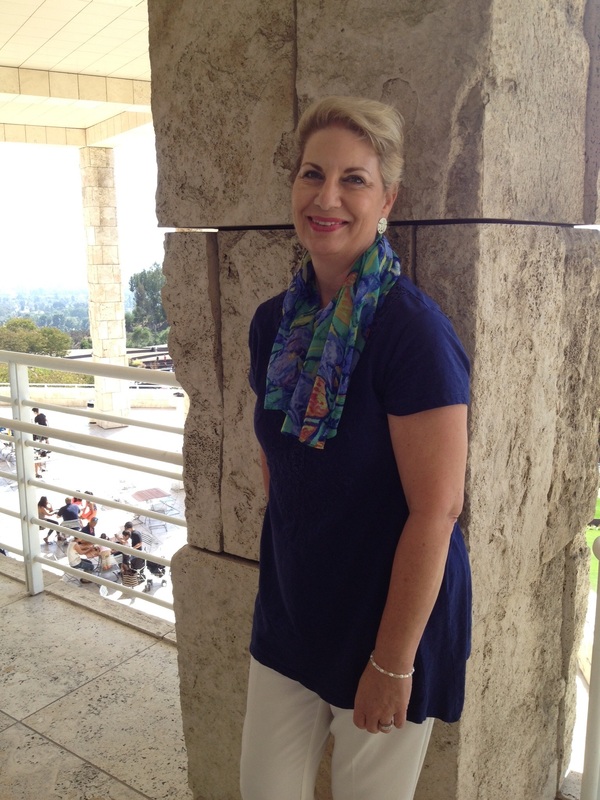 I have seen most of the US, have traveled to many countries, and have even lived abroad. And I have been able to share this with someone who understands, appreciates, and loves me. I’ve made many missteps in my life and hopefully won’t make others. But the one thing that I know for sure is this — having the right person in your life is what matters the most. Nothing can replace that. Not money, nor material things, nothing. Being in love, everyday lifelong love with an intelligent, kind, generous, hardworking, and beautiful woman……..is what matters the most. For me, there’s something magical about the beach whether it’s Malibu, Monterey, or Mazatlán. 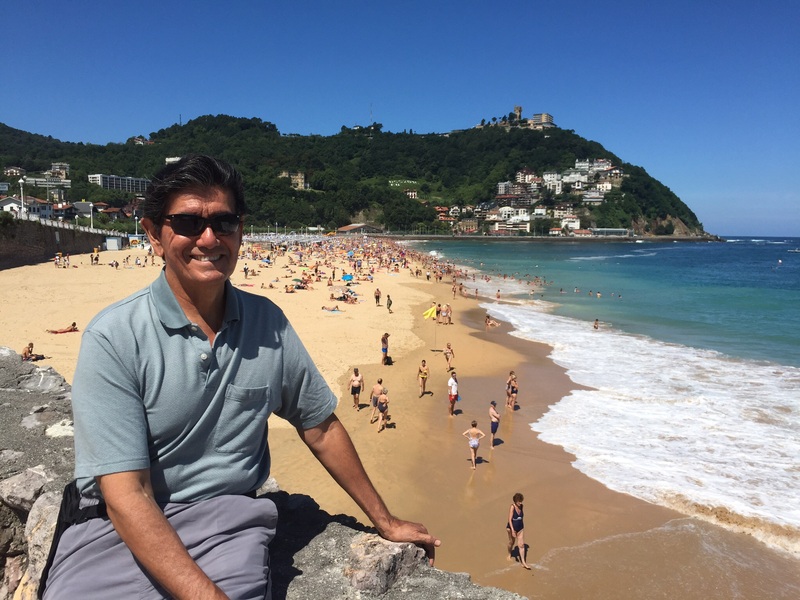 Having spent most of my life on the west coast of the U.S. and a fair amount of vacation time on the Mexican coast as well, I have experienced many idyllic beach environments. 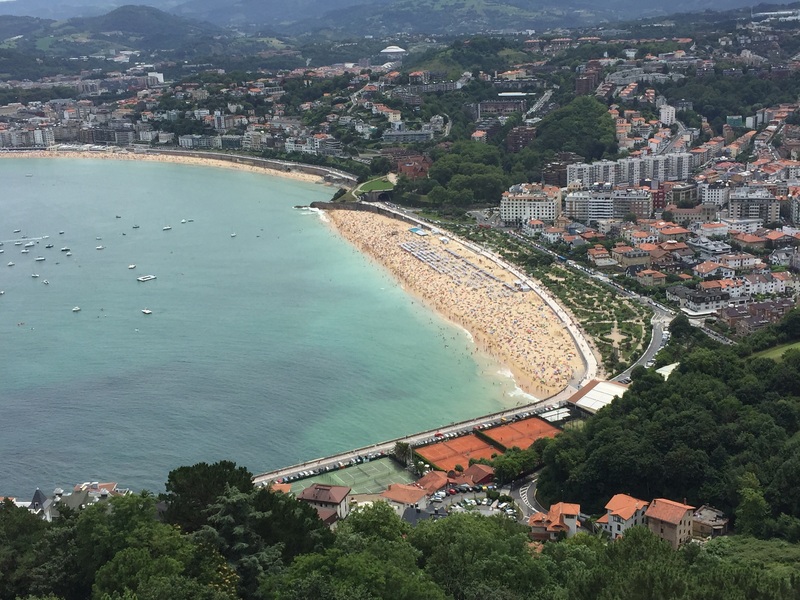 However, as far as I’m concerned, nothing can compare with the incredible unending beauty of Bahía de la Concha in Donostia-San Sebastián. If I could choose where to spend my last days, it would be here. Today I wanted to take in as much of this local splendor as possible and the mile-long promenade which begins only a few steps from our apartment provided the perfect way to do so. As we strolled along the wide curving walkway that skirts the beach, the sound of the gently crashing waves and freshness of the cool ocean breeze were enticing. Truly a photographer’s paradise, but I’m not certain you can really capture its essence in photos or do justice to it with words. Nevertheless, what follows is a bit of a photoblog that might give you some idea of what it’s like. 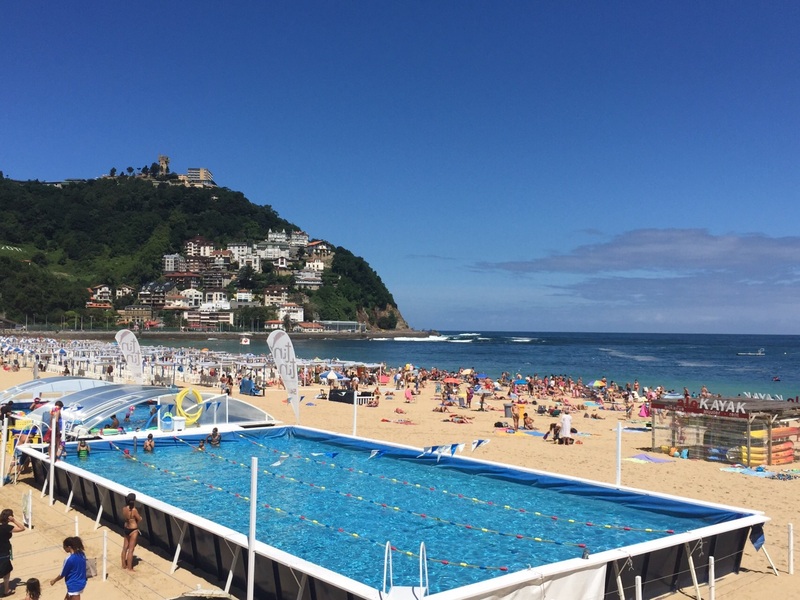 Ondarreta Beach, full of cabanas, umbrellas, and white folding chairs rented for a nominal fee by a myriad of sunbathers sports this inviting pool where children were busily involved in swimming lessons. 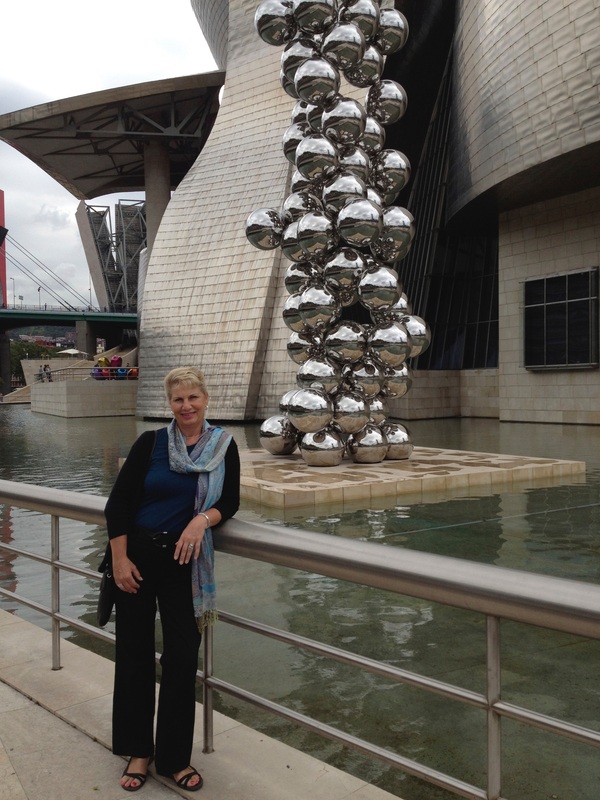 Six weeks of travel, inquiry and exploration mostly through the Aquitaine region of France. 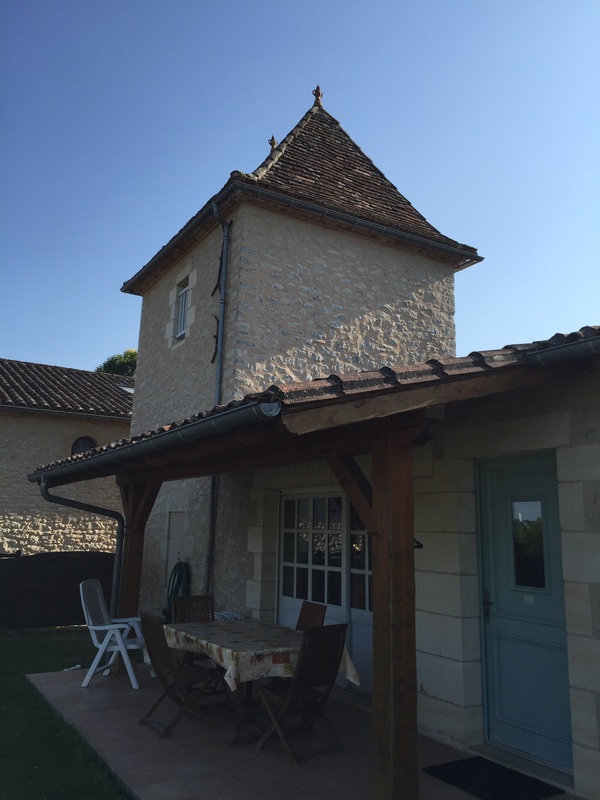 Every week a new gîte and a new part of the Aquitaine to explore. It has been an amazing adventure and we have loved every part of it. 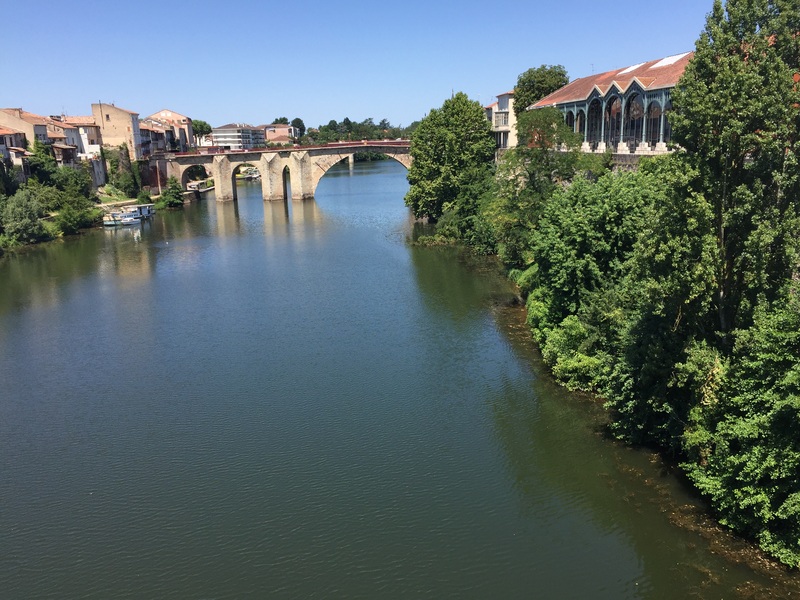 We have learned about and been to an extraordinary portion of the Aquitaine and while not every place was perfect, each one served to define more clearly where we want to make our final search for a home in France. We are now in negotiations for the house we will stay in for two months next summer and are looking forward to it with great anticipation. 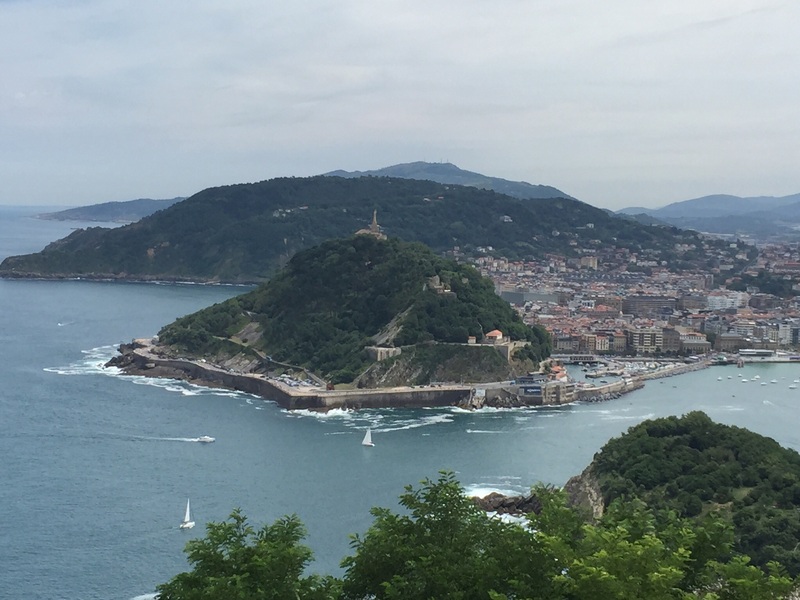 But now we are in one of the most beautiful cities inall of Spain, San Sebastián. 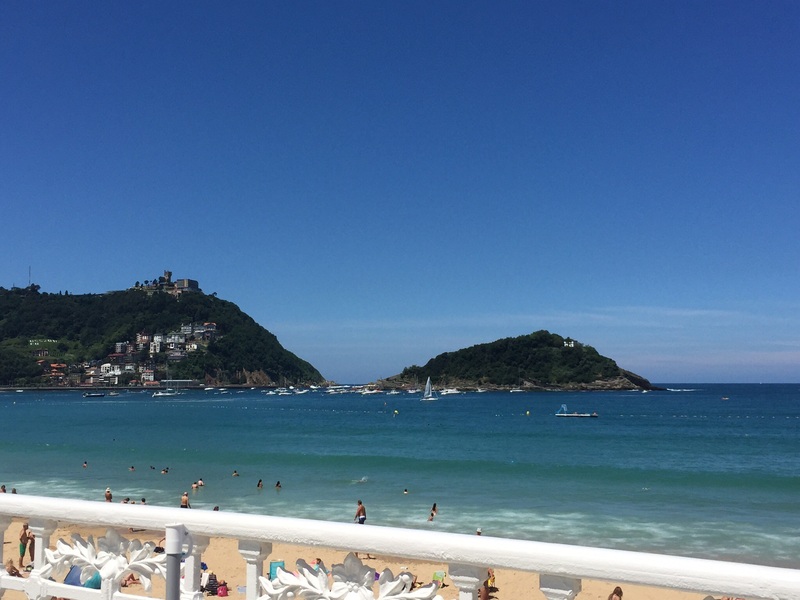 San Sebastián (Spanish: [san seβasˈtjan]; French: Saint-Sébastien) or Donostia (Basque: [doˈnos̺tia]) is a coastal city and municipality located in the Basque Autonomous Community in the northeast of Spain. 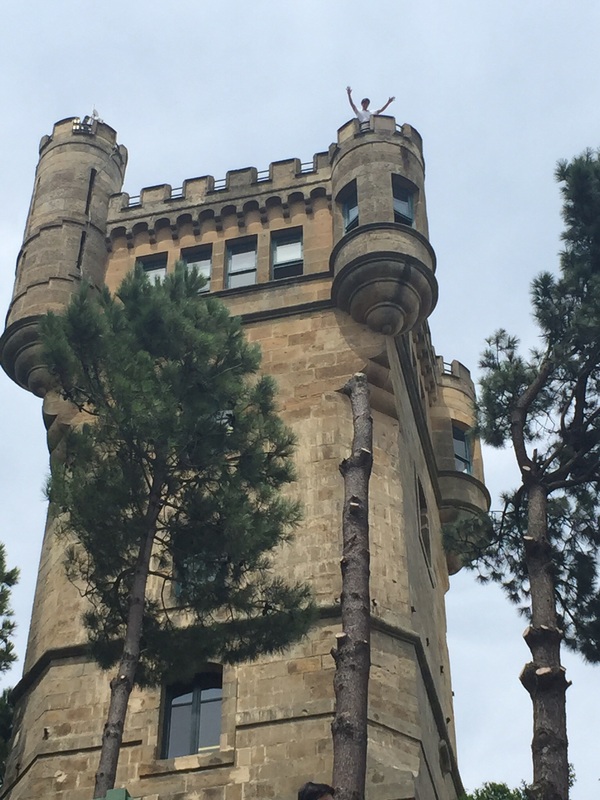 It is situated on the coast of the Bay of Biscay, 20 km (12 miles) from the French border. 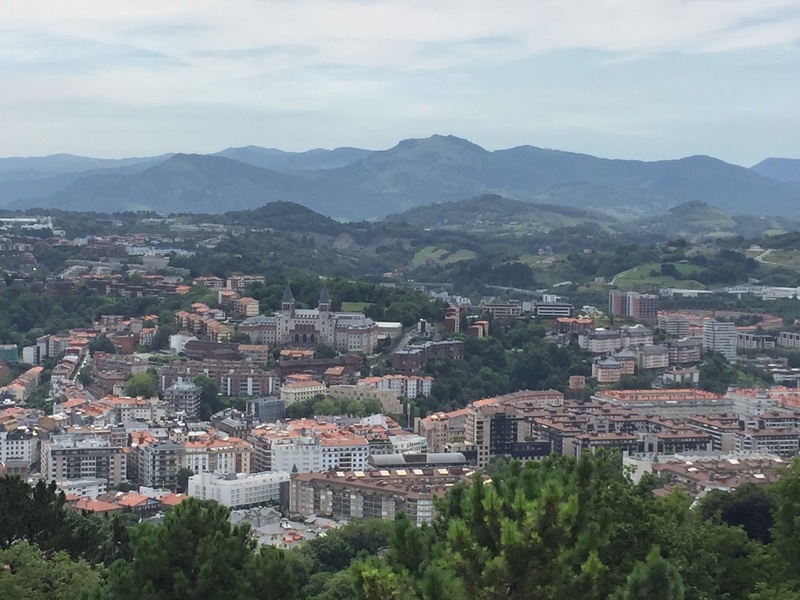 Capital city of the province of Gipuzkoa, the municipality’s population is 186,409 (2012), with its metropolitan area reaching 436,500 (2010). The first time we visited the city in 2012, was for only a day. Even so we were very impressed. It is such a beautiful city. With modern buildings, tree-lined streets, broad pedestrian walkways, beautiful plazas with impressive water fountains, dedicated bicycle lanes and lovely wide beaches that line the curved harbor, San Sebastían is inviting and mesmerizes you with its beauty. The beaches are caressed by emerald green waves and a cool breeze that soothes the mind and refreshes the body. Since we have worked so much on exploring and getting to understand the southwest part of France, this is our reward. Time to relax and reflect on what the future holds for us. 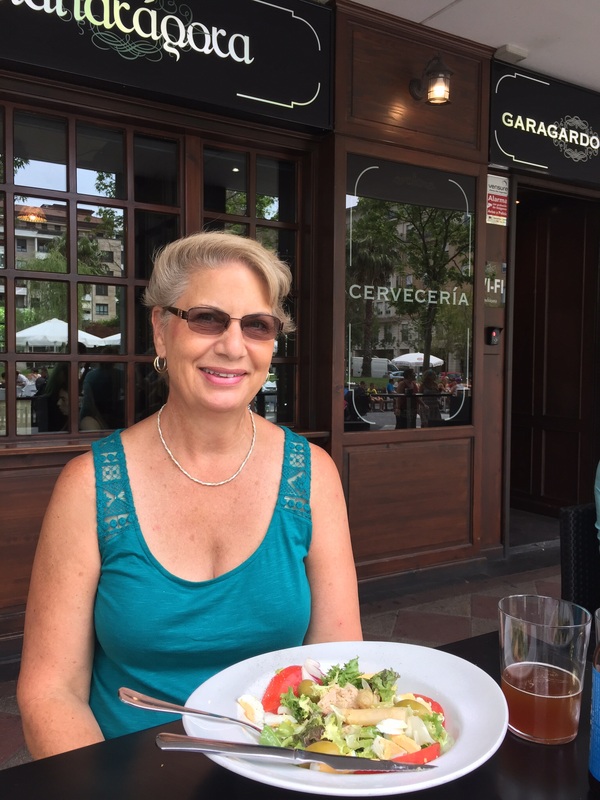 Since we knew that we wanted to return here, Cheryl arranged for an apartment just a few minutes walk to the beach. She hit five stars this time! 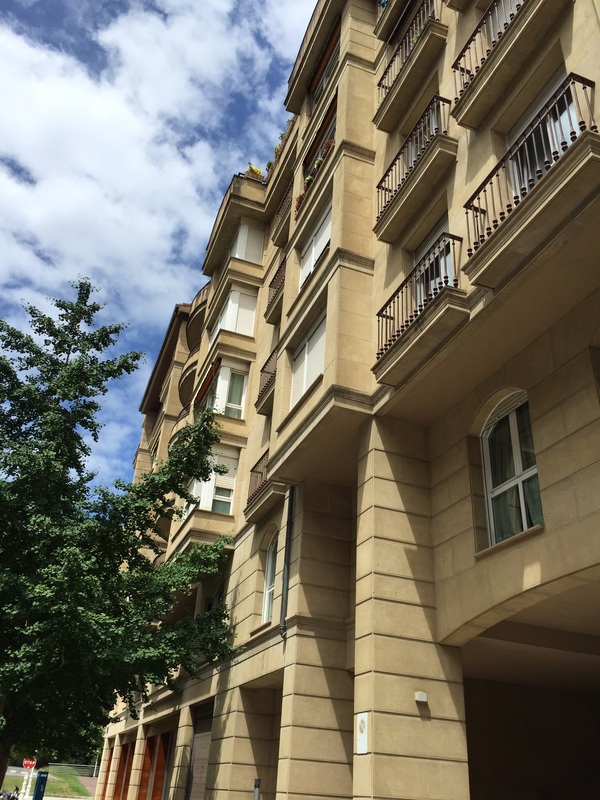 While the apartment is small, it is a spotless, modern, and beautifully appointed. The owners spared no expense in remodeling it. From the solid hardwood doors and flooring to the high gloss and textured tiles in the bathrooms, double glazed windows and matching cabinetry, modern kitchen and very comfortable furnishings, this is a deluxe accommodation we feel fortunate to inhabit for a few days. It sits on the fourth floor of a large modern complex with a park like central plaza at its core. Parking is below the complex with a dedicated parking space. The neighborhood where it is located is in the southern end of the bay and is one of the wealthiest in the city. The city buses can be boarded just a block away so there is no need to even move your car. On our first night we went to the Parte Vieja (old town) to wander the narrow streets. 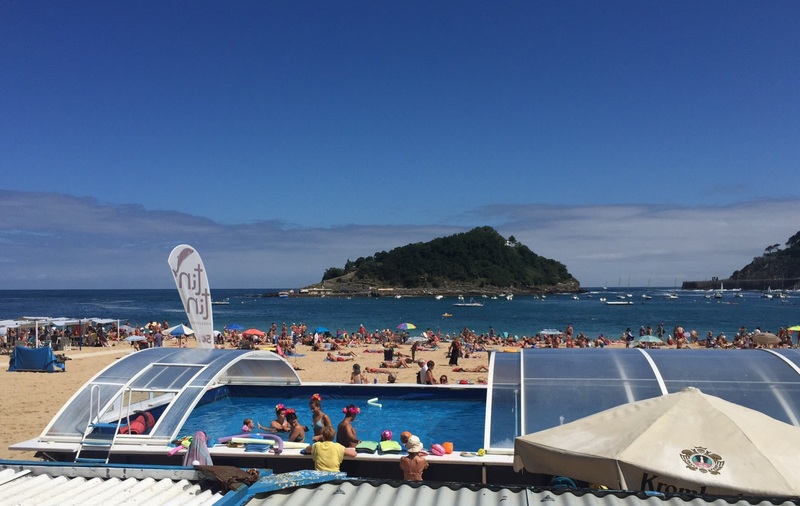 Stepping into a few local bars, we sampled the pintxos (tapas) and drank a zurrito (6 oz. 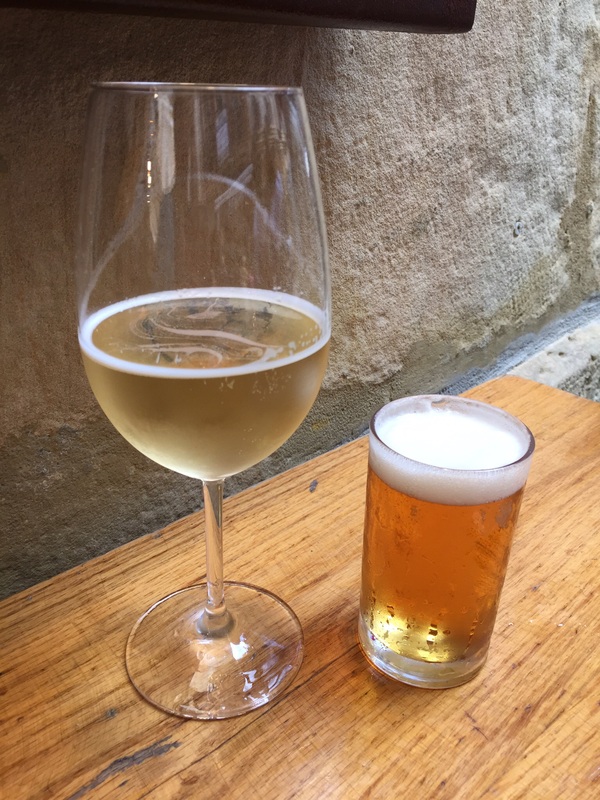 glass of local draft beer) and a txakoli (a Basque wine made sparkling by pouring it from high above the head into a large wine glass). 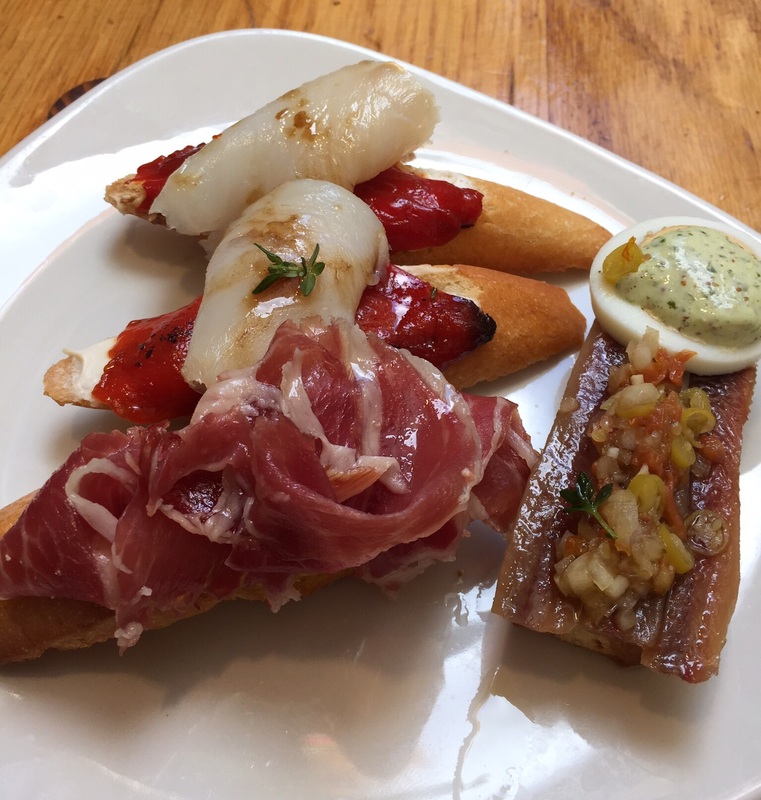 Pintxos (pronounced peen-chos) are single servings of all kinds and combinations of Basque appetizers usually served on sliced baguette. 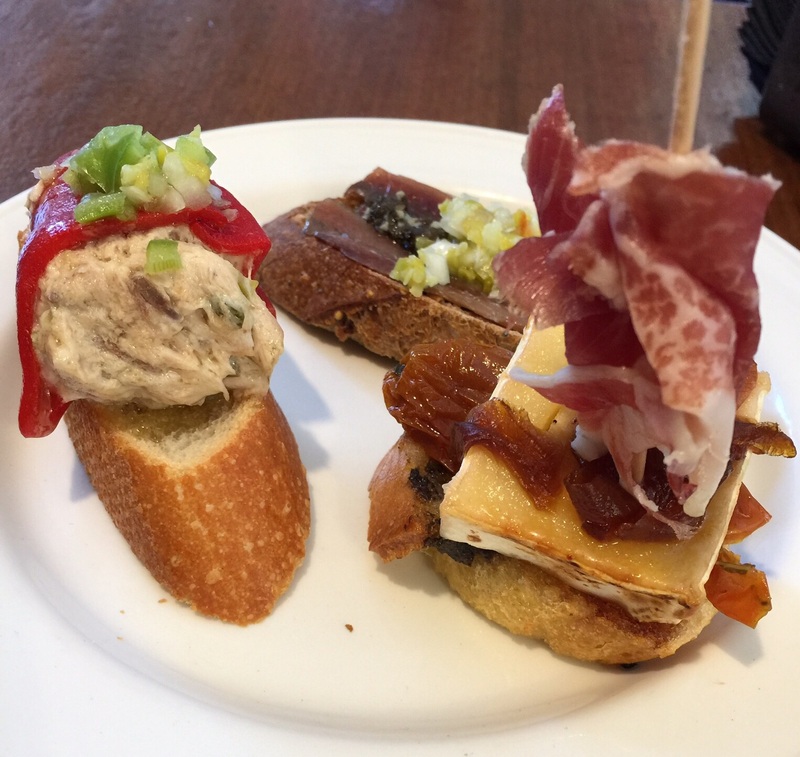 Delicious and inexpensive, the idea is to wander from one place to another sampling one or two pintxos, then try to get a table on the street and people watch for a while before moving onto the next location. We had a fabulous time and plan to return one or two more times during our stay. The next day we decided that we should get a bird’s eye view of the entire city. 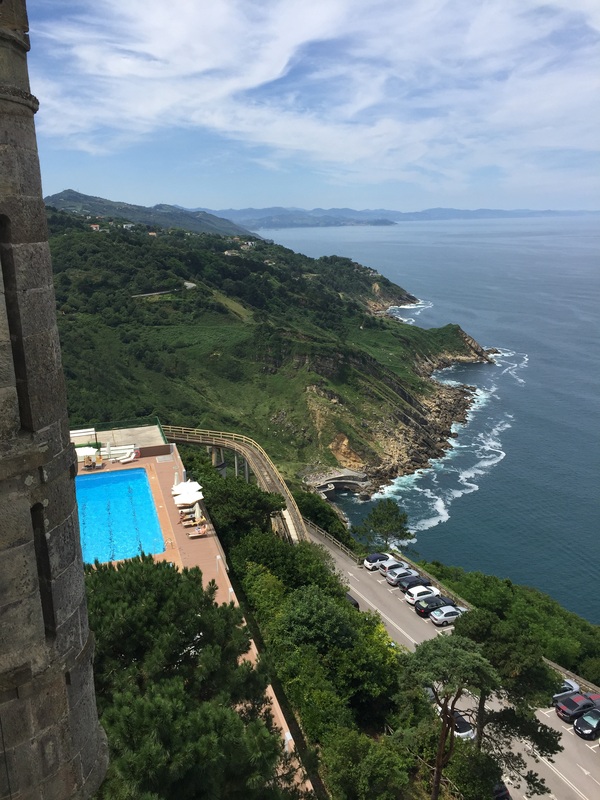 Only a five minute walk from our apartment, the funicular took us up to the top of Monte Igueldo where we got a spectacular view of the entire city, beaches, and harbor. At the very top of the mountain is an ancient stone tower where you can see far out into the Atlantic, a long way down the coast and all of the surrounding countryside of this beautiful land. After such a beautiful view we walked along the promenade with its tree lined walkway and benches facing the beach where you could idle away the hours watching people stroll by or sunbathers enjoying the sandy beach. After quite a while, we realized that we hadn’t eaten much and should probably have some lunch. So off we went back to our neighborhood to look for someplace to eat. We were a little concerned because in France everything closes down between 12:30 and 3:00 or 4:00 and many places aren’t even open on Sundays. It wasn’t even 3:00 yet. 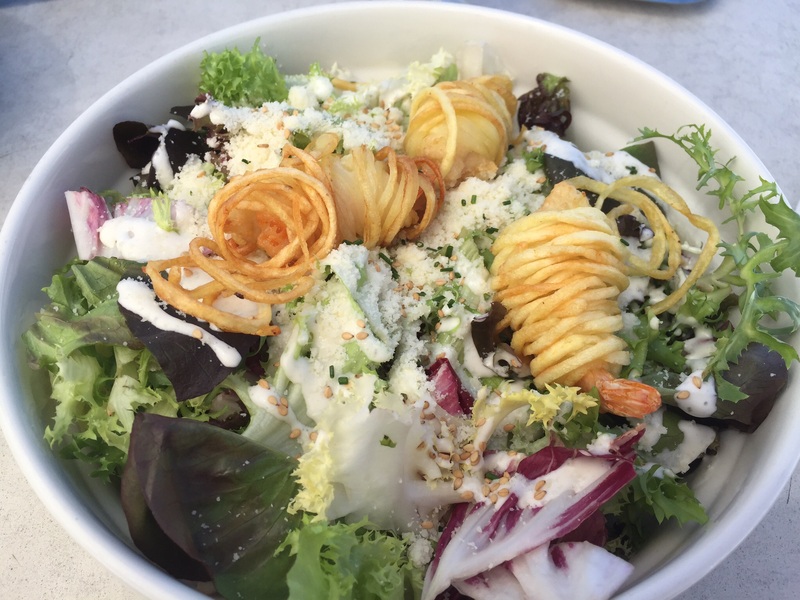 Well, lucky us, here there are many cafes and bars that are open and serve food all day long. We decided to walk around an area a few blocks away from the beach and found a very nice restaurant, sat under the shade of the portico, and had a long relaxing lunch. 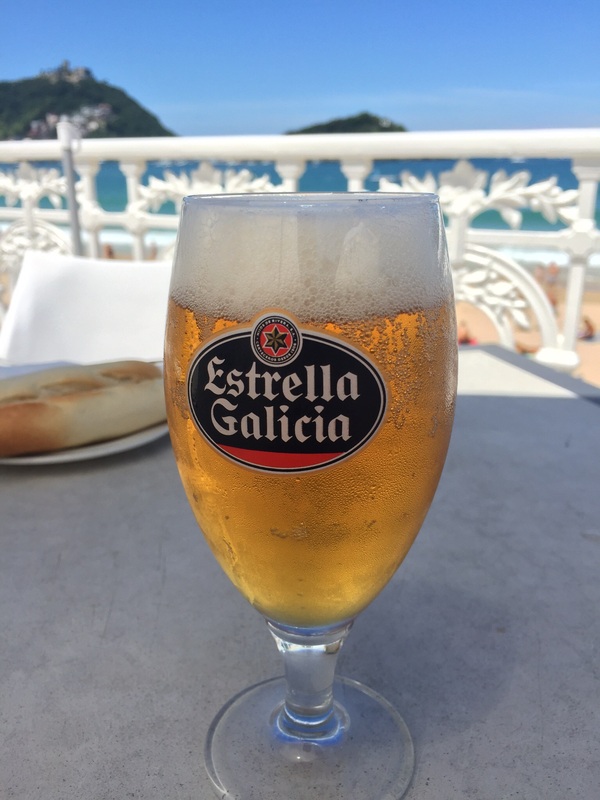 Later that evening we went to Gros, a neighborhood on the other side of the river Urumea where Zurriola Beach, the aquarium, and a large concert venue are located. On the way back, we braved the crowds of the Jazzaldia Jazz Festival and stopped again in the Parte Vieja to sample a few more pintxos. After many kilometers, roads, towns, villages, and cities, six weeks of constantly moving and exploring can take its toll on you. Spending so much time trying to get a feel for different places is very difficult because, like I said earlier, you can’t spend much time stopping at and walking around every place you think of or come across. Nor can you attend all the events, or festivals which occur mainly during the summer. 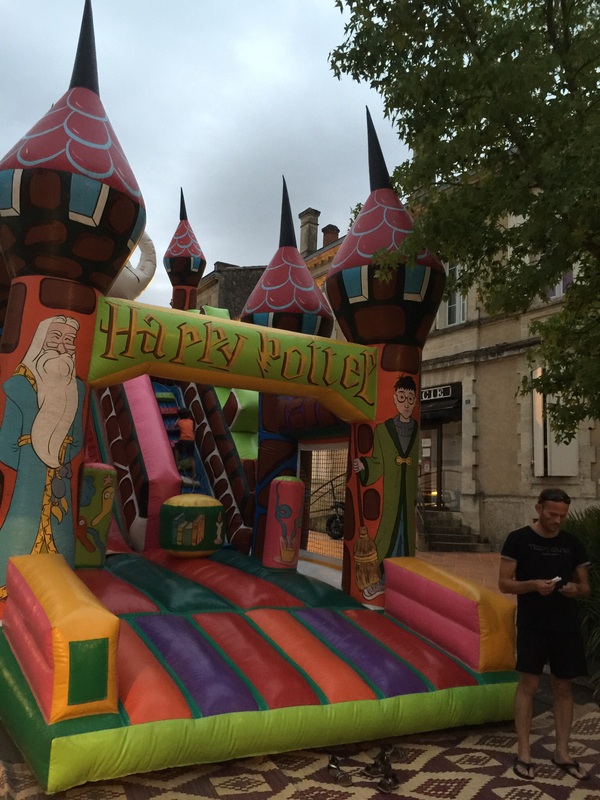 So, after going on a another day trip of discovery, we decided to go to a night festival back in the hill town of Monségur only a few minutes from our gîte. We were told that we should get there early (6:30 or so) because the festivities draw a lot of people and finding somewhere to park would be easier. After getting back to our gîte and taking a little rest, we headed out to the marché nocturne (night market). As mentioned earlier, Monségur sits on a small hill and occupies only the top portion of it. The streets are short and narrow and there are only a few plazas within the village. Since we arrived early, we were able to park close to where the festivities would take place. Already there was a stream of people walking in from all directions. 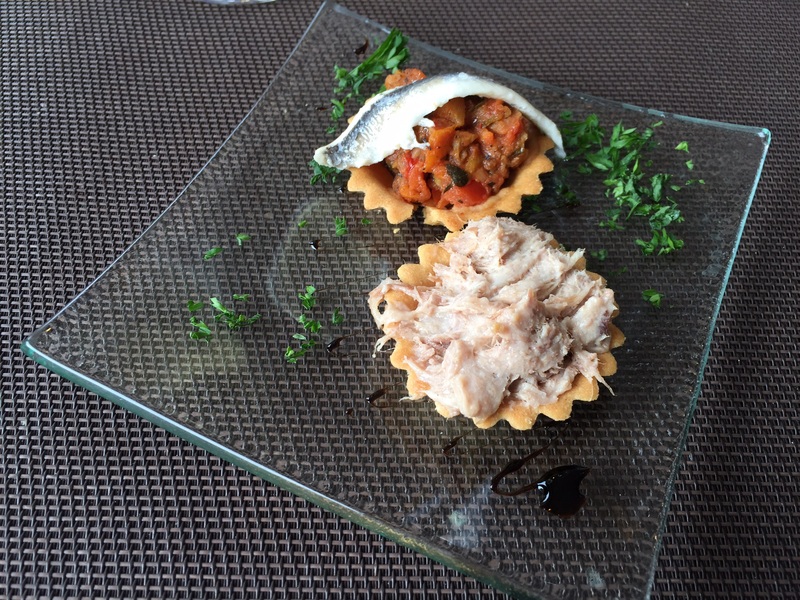 Monségur has one street that has a few restaurants and cafes. It leads to the town center plaza a few blocks up the street. The main plaza is covered with a large open canopy around which there were venders selling all kinds of items from toys to arts and crafts. Next to and all around the open canopy were food venders (as well as winery representatives) selling food from rotisserie chicken to pizza and providing wine tasting (which by the way, was free). Inside the canopy was a stage on one side and many, many rows of tables and chairs for people to sit at and eat their food while listening (and dancing to) live music. After strolling around the square we noticed a very nice restaurant at one corner and since we really hadn’t eaten out much, decided to sit down and enjoy a meal and the evening’s festivities. 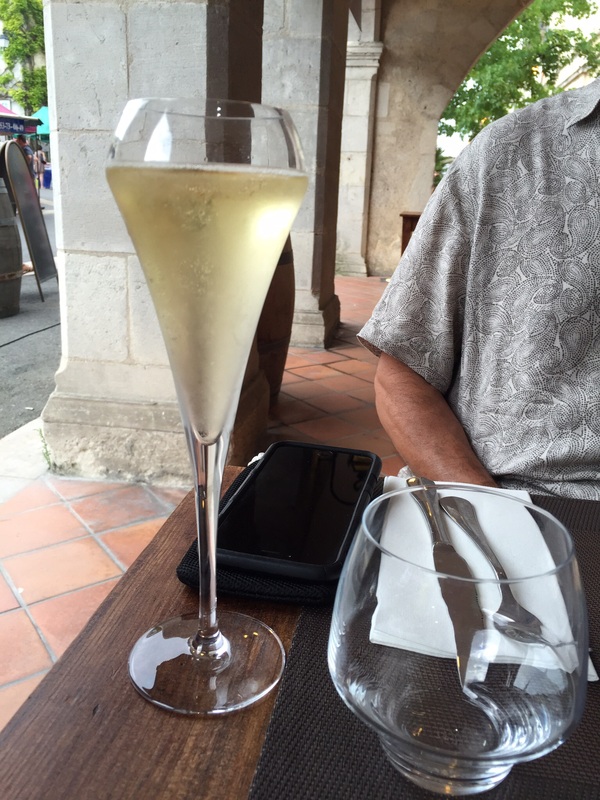 We had a marvelous meal staring with: Crément de Bourgogne which is a type of champagne (although it can’t be called that because it is not produced in the champagne region nor with the exact production method……but for all intents and purposes, it taste just like it). 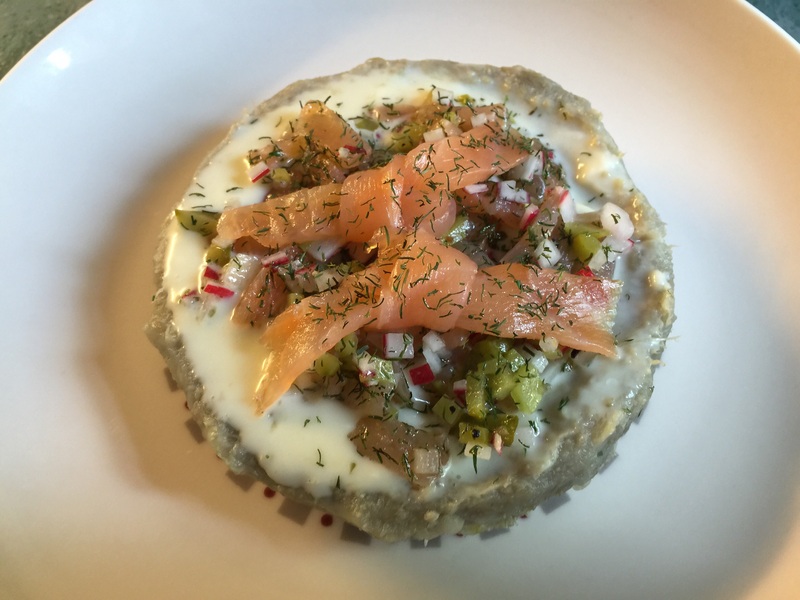 The Crément arrived with a small glass plate of Amuse-Bouche (single, bite-sized hors d’oeuvres served free according to the chef’s selection) — tiny tarts filled with very tasty fillings. 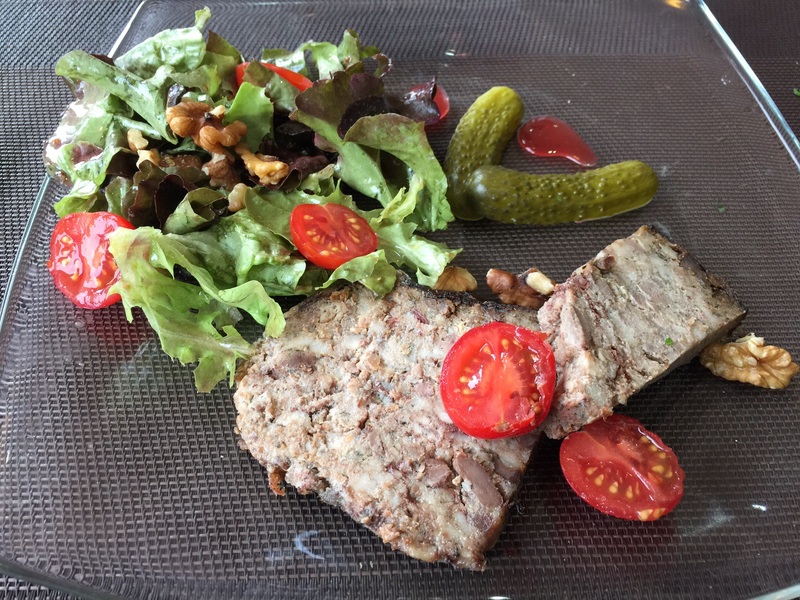 The appetizer (the Entrée in French) was a beautifully presented slice of country pâté accompanied by baby cornichons and a simple salad. 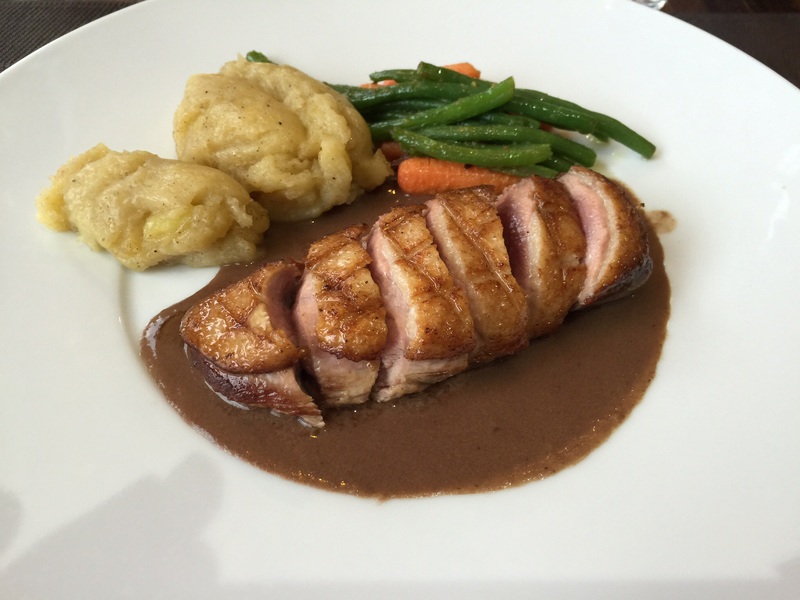 For the entrée (referred to as the Plat), we chose sautéed duck breast with a delectable sauce reduction, petite string beans and mashed potatoes flavored with allspice. 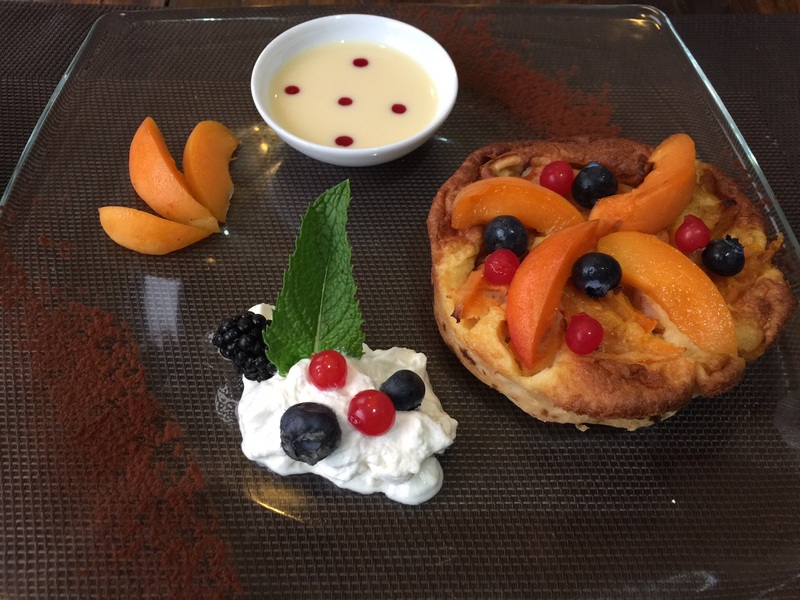 Dessert consisted of individual servings of apricot clafoutis with both whipped and whole cream. We enjoyed our meal with a bottle of locally produced red wine. The entire meal took almost three hours to consume. All that time, more and more people were arriving, strolling around the plaza, buying food from the vendors, or having dinner (as we were) in one of several restaurants. It was a wonderful experience! Relaxing and enjoying a delicious meal, people watching and afterwards, strolling about ourselves. 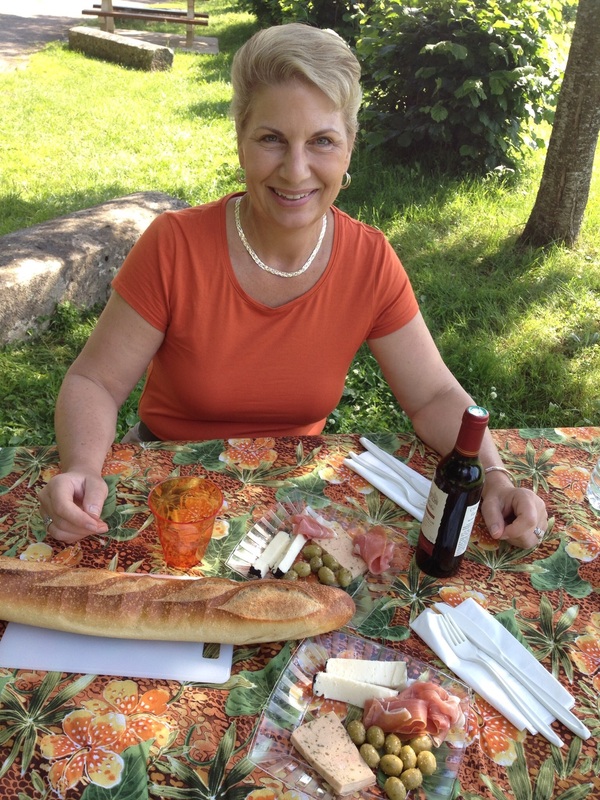 This is what we had been wanting — to experience France as the French do. The atmosphere was relaxed with people of all ages from the elderly to teenagers meeting friends to families with small children. 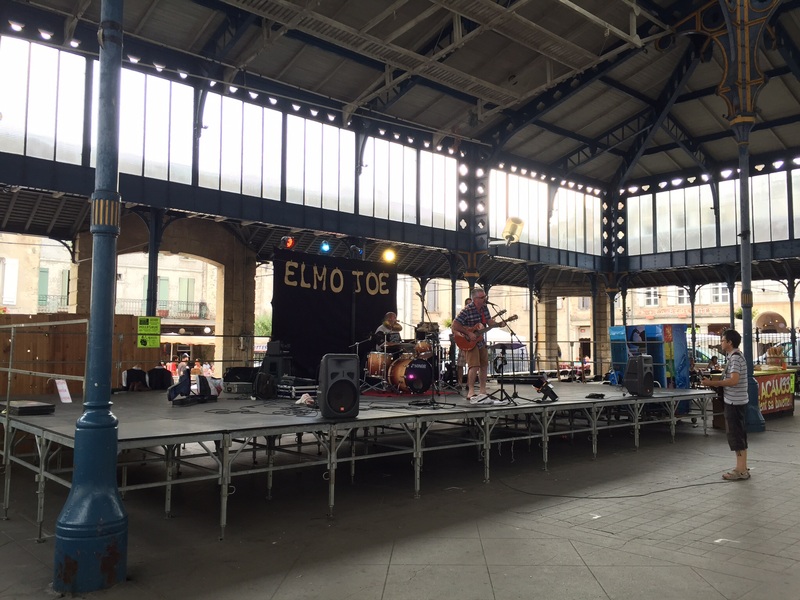 Everyone seemed to be enjoying themselves and there was a little something for everyone,from a jump house for the kids, a fire twirler, and an rock band playing American top forties hits from the past on the stage! We had a wonderful time and will remember this for a long time to come. Monségur was founded by charter of Eleanor of Aquitaine in 1265. 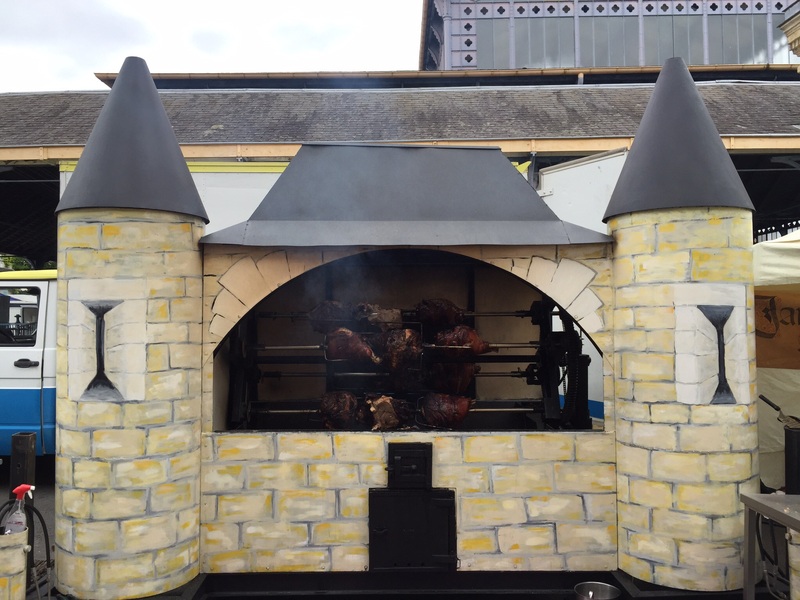 On Saturday and Sunday, Monségur is celebrating 750 years as a bastide — a fortified town built in the Middle Ages. Yes, 750 years! All kinds of festivities are planned for the celebration. Unfortunately, we must move on to our next destination and won’t be able to attend the celebration. It is amazing to think how far back history reaches here and more so because there are so many original structures still standing even after all those centuries. Le Puy is a tiny hamlet located in a valley two-thirds of the way southwest between Bergerac and Marmande. The area has rolling hills, fields of vineyards, wheat, sunflowers, and another meandering river, the Dropt. While distances between major cities are relatively close, drive times are much longer because of the speed restrictions on the narrow two lane country roads. In our post about the gîte life, I mentioned that there is a great variation in accommodations according to size, location, and price. 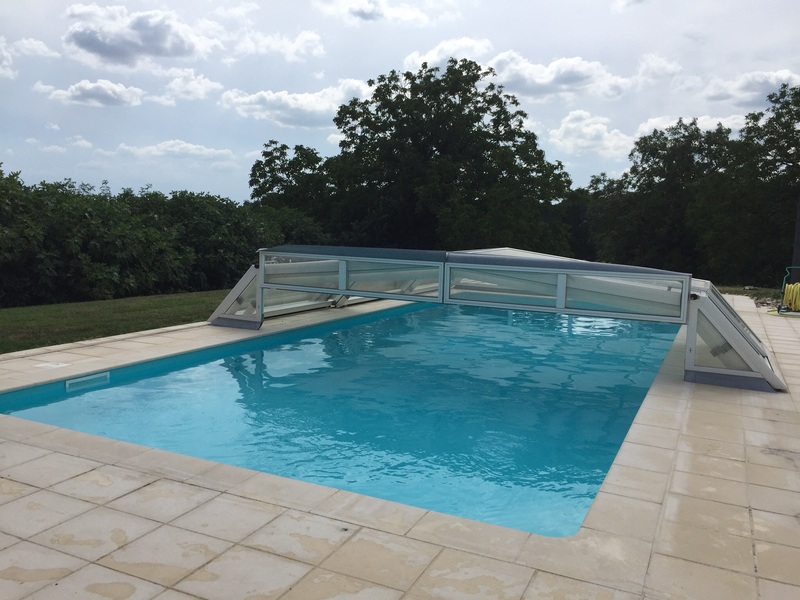 On our arrival to our current accommodation, we were almost ecstatic to find a beautifully appointed, large, and modern gîte with a very large new swimming pool! Compared to our last accommodations and experience, it felt like paradise. 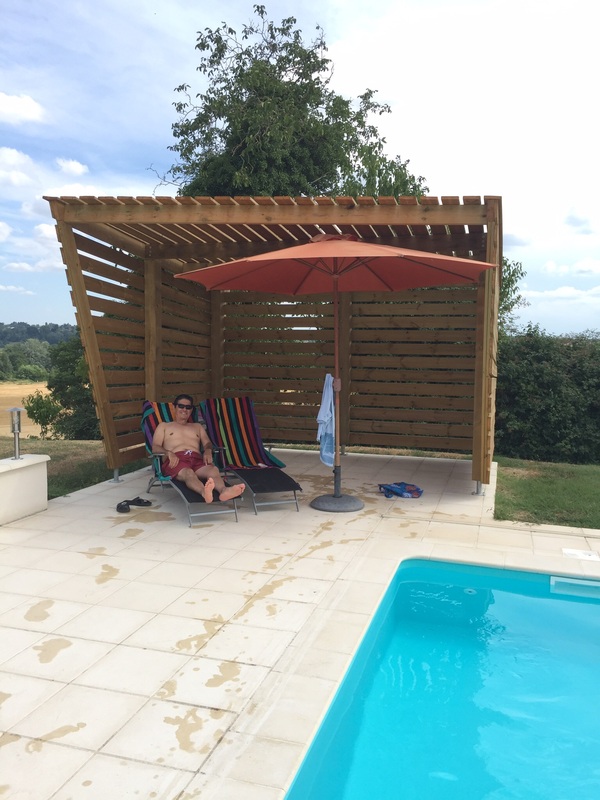 As in a previous gîte where we stayed, the first thing we did……jump in the pool! Sunday was a day for rest. France is experiencing a heat wave that it hasn’t had since 2006. Three years ago when we were traveling throughout France, we had rain and cool weather for the major part of our stay. This area of France is rural, very rural. Many small towns and villages abound. If you look at a map of the area, it is crisscrossed by hundreds of narrow country lanes. Although the area isn’t forested, you do get to enjoy the many trees that line many of the roads and ridges and stream beds. Today we are visiting a village situated on top of a hill, Duras. It is the largest village in this area and hosts a farmer’s market on Monday mornings and Thursday evenings. It is the site of an ancient chateau around which the village is situated. It has a beautiful view of the surrounding countryside. Shopping for some vegetables, we got to speak with a farmer who was very proud of his produce and told us all about it. Some of the tomatoes on display were as big as a small melon! 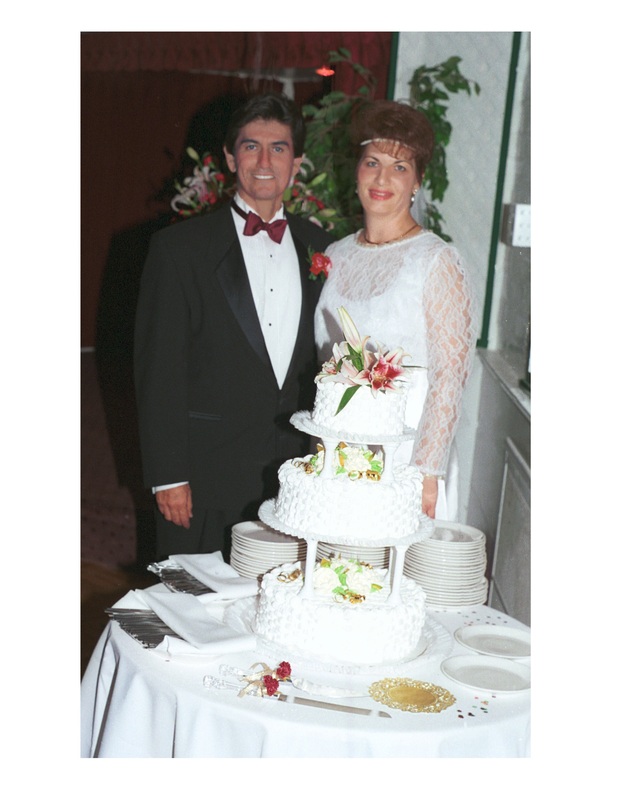 He gave us a slice of one to taste and it was excellent — rich in flavor with a meaty texture. He told us that while many larger farms grow produce to export, he grows everything he sells and sells it at a different farmer’s market every day. 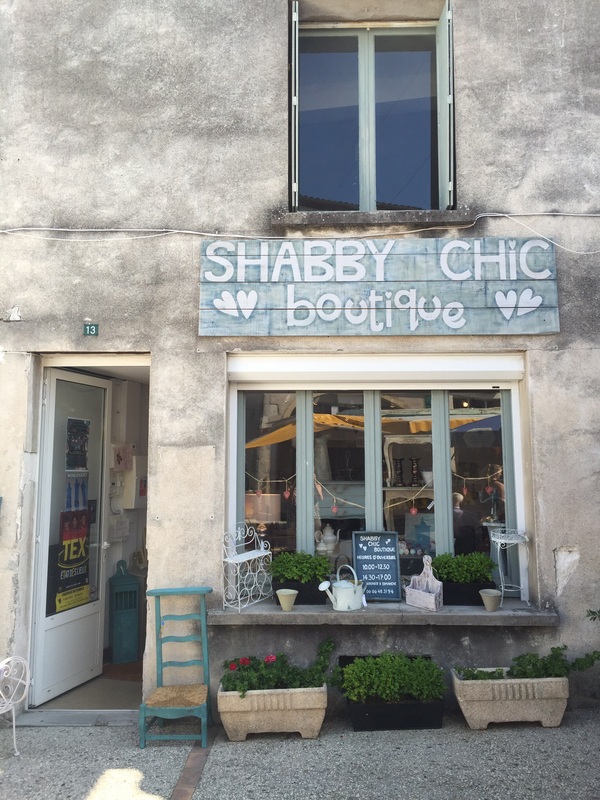 Shabby Chic in France too! Also crowded into the farmer’s market were full-size carnival rides! Mind you, this is a typical village that was built hundreds of years before the advent of the car so the streets are very narrow, twisty and without a view of oncoming traffic when you are at a “T” juncture. It is amazing how 18-wheelers can maneuver into these tight village spaces let alone drop off a full size carnival ride! After doing our shopping, we stopped in at a local café and relaxed, enjoying a coffee while people watching. After some time, we realized that we were hearing more and more English, both American and British. Seems that the broader areas here have a greater number of Brits and Americans. 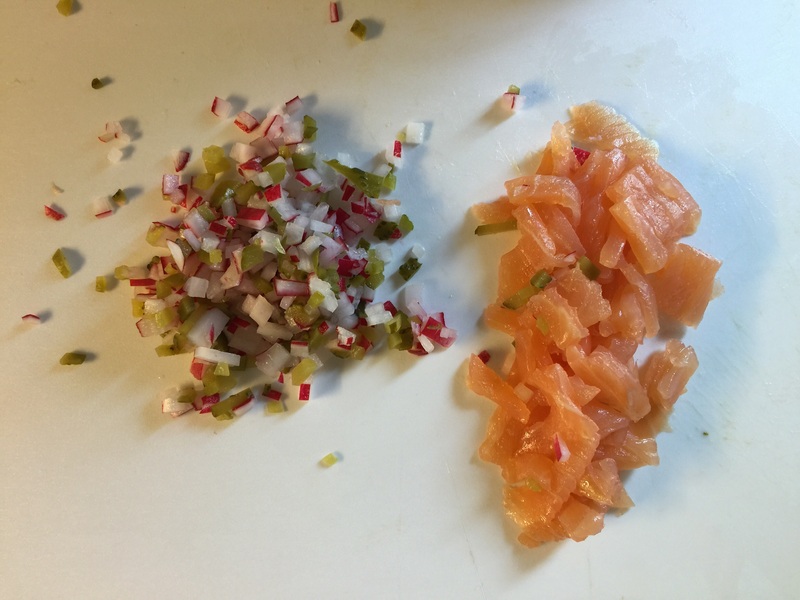 French Burger — Look familiar? 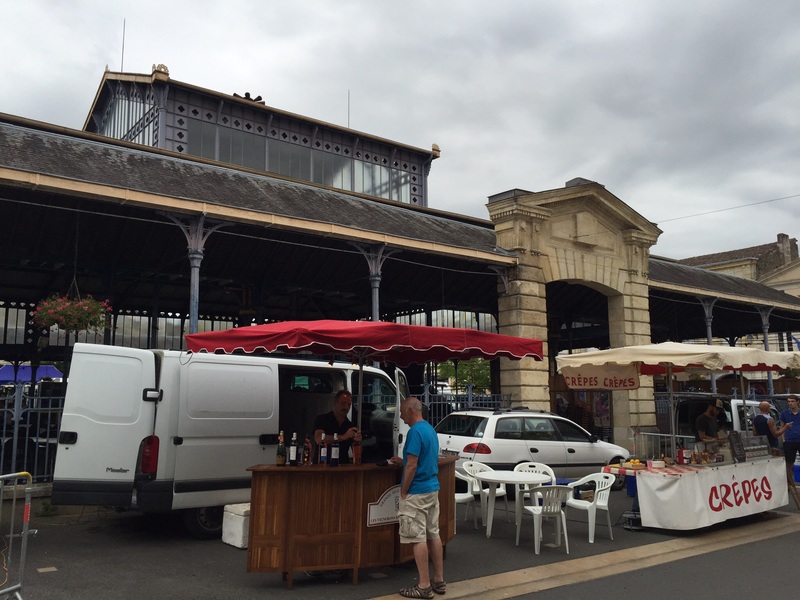 Since we needed to stock up for the week, we headed to Marmande about twenty minutes south. 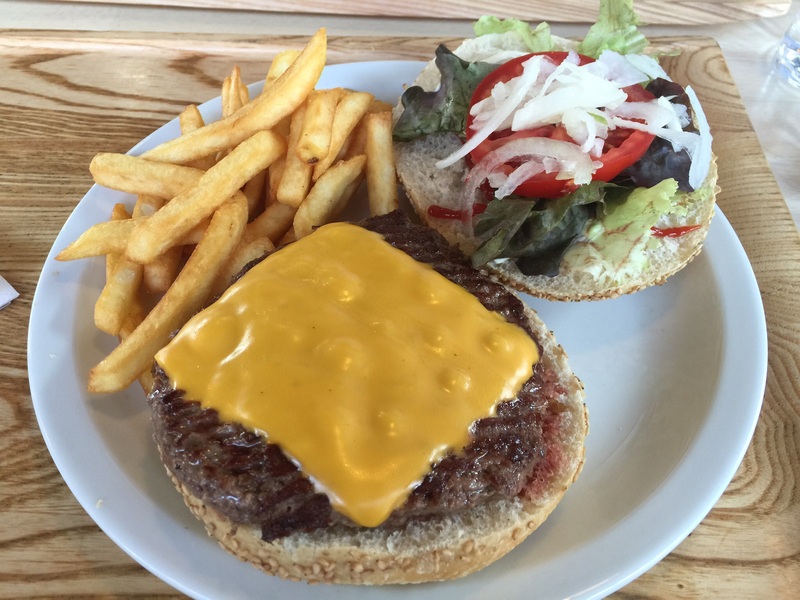 When we arrived at the Leclerc, we weren’t in a hurry to do our shopping so we settled in at the cafeteria and had………hamburgers! French ones of course. Sometimes, you just have to have a burger, with fries. So we’re on our sixth week of traveling, getting used to different gîtes, locations and landmarks. 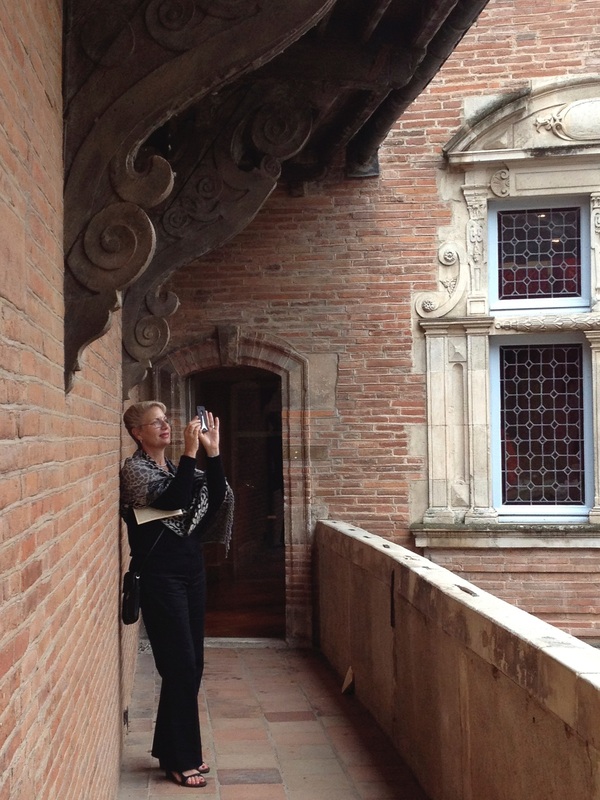 We have stayed in, visited, and traveled through dozens and dozens of places. Many of our trips were planned to include not just the larger cities but the surrounding towns and villages as well. As we traveled to various locations, we started to develop a “sense” for where we were. It is impossible to stop in each location and walk around though we did plenty of that and in doing so, the sense that one develops takes in the geography of the terrain, the type of economy of an area, how dense or sparse the population is, climatic conditions, lay of the land, cost of housing, and many other considerations. Initially, we had planned to select two major areas to come back to next summer and stay for a month in each area so as to have enough time in each to thoroughly select a place we would like to live after Cheryl retires. It seems that we have reached a consensus about one area we might stay in for two months next summer. France is about the size of Texas and the area we have explored is about one tenth of that size. Since we have narrowed down our preferred area substantially, it looks like we can stay in just one place next summer and easily go to the surrounding areas we will look at closely. Between our first summer in 2012 and this summer, we have been to more places than the French themselves. And so, we are slowing down the pace. Later in the week, we are going to go look at a house that is in the center of the area we are most interested in staying next summer. If it checks out, we might have our house. So, it’s back to the pool! Stretching our legs, relaxing, and looking forward to the rest of our “vacation”. 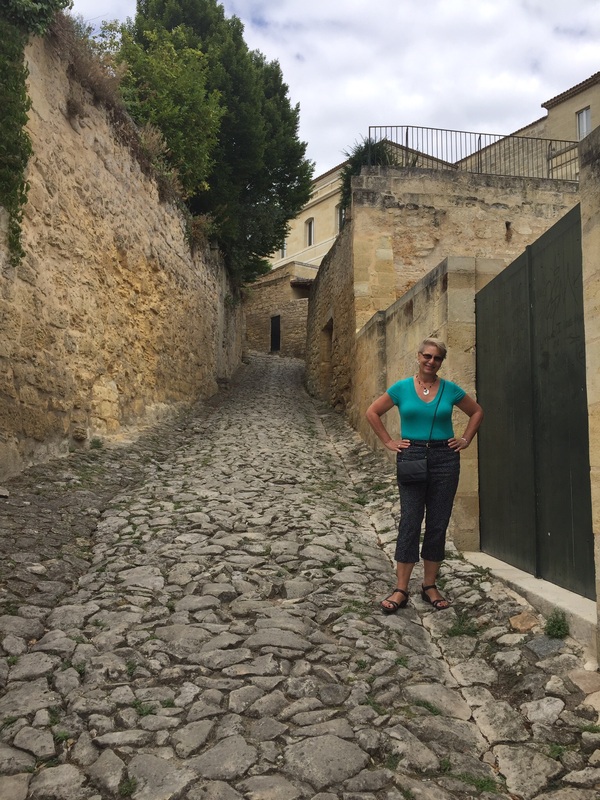 If you haven’t done so already, you might want to read the previous posts The Gîte Life and The Gîte Life Continued before you read this post. Ok, now for some pointers and a little reality. 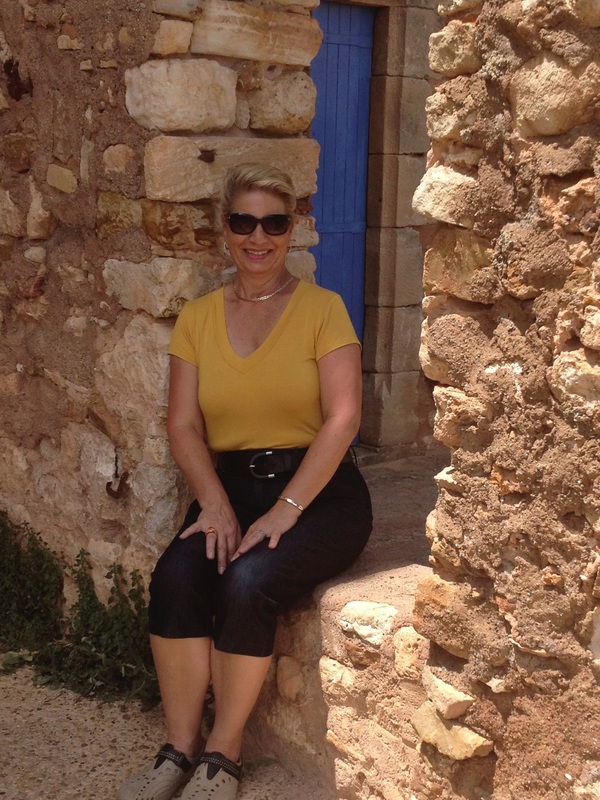 Staying in a gîte requires flexibility on your part. In other words, you must be able to deal with issues that arise mostly on your own. As I’ve said earlier, gîtes vary WIDELY and at times there will be issues that you will have to decide how you want to deal with (or not). If you’ve noticed, one of the amenities previously listed was window screens. Yes, window screens. For some reason, in most of the gîtes that we have stayed in there were no window screens. 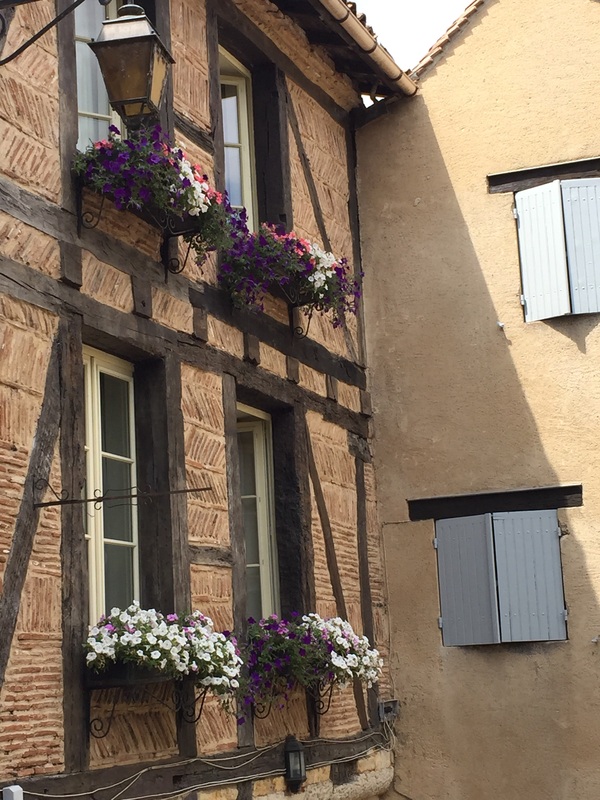 I can only conjecture that on older buildings the French control the coolness or warmth of the the interior by opening or closing the heavy wood shutters. This necessitates opening the window and reaching out to close the shutters making having a window screen impossible, inconvenient, or a chore to deal with. I was perplexed by the idea of having window screen on windows that had exterior shutter so in the gîtes we stayed in that did have window screens, I was intrigued by how the solution was reached. The window screens rolled down from the top and had a tab to hold onto when rolling them down or up making it very easy to close or open the shutters. Why more buildings don’t have window screens is a mystery. 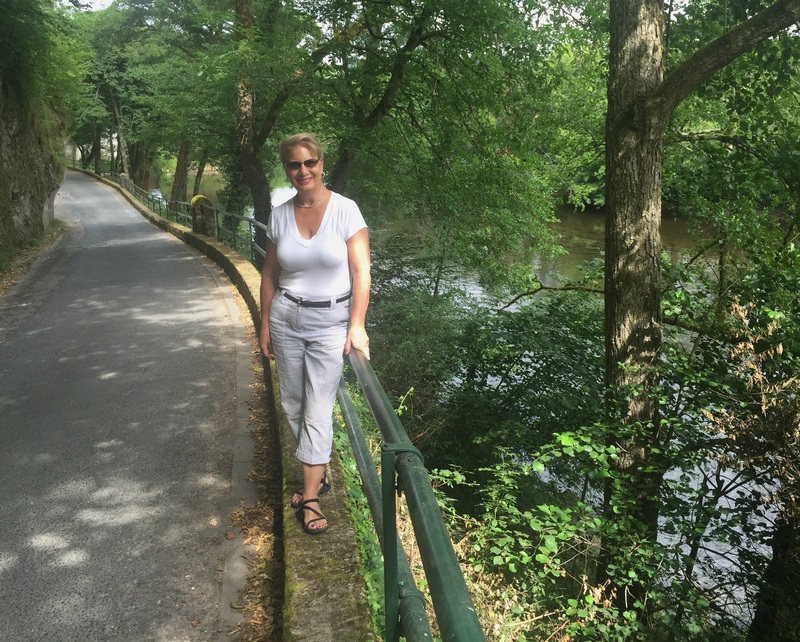 In our stay in Bergerac, where in the countryside there are many small ponds and brooks, we were eaten alive by mosquitoes. Window screens would have made our stay so much more pleasant. Anyway, spending more money doesn’t necessarily guaranty that the gîte will have window screens. You should ask when making inquiries. It can’t hurt to do so. I could get very specific about what kind of issues you might encounter, but let me just put it this way. Your stay in a gîte will most likely last one week or more. So, make the gîte yours for that time. You will find things that may be very different than what you are accustomed to so make it comfortable for you during your stay. Move the table, couch, or chair to suit you. Rearrange the kitchen dishes or cooking utensils where they work best for you. If you are concerned about remembering where everything was before you moved things, take a photo with your camera phone before you move things so that you can easily put the things back at the end of your stay. Some gîtes may have several other gîtes and so the owners will be very busy dealing with cleaning, supplying, laundering, checking guests in and out etc. Many other issues may arise and the owner won’t always have the time or resources to deal with them. So you must be flexible. For us, staying in so many different gîtes has made us determine what was essential for us to have and if the gîte didn’t provide it, we went out and bought it. Nothing large or expensive but something as simple as cutting board, salad spinner, certain cleaning products, toilet paper, a good sharp knife, plastic wrap, a fly swatter, and a good fan. Mind you, some of the gîtes will already have some of these things and others will not. But for our convenience we carry these basics just in case. And what do we do with all these extra things we’ve accumulated on our trip when we’re finally ready to return home? We usually donate them to the last place we stay so the next occupants can take advantage of them. Staying in a gîte can be a very pleasant experience or not. It all depends on how you go about it. 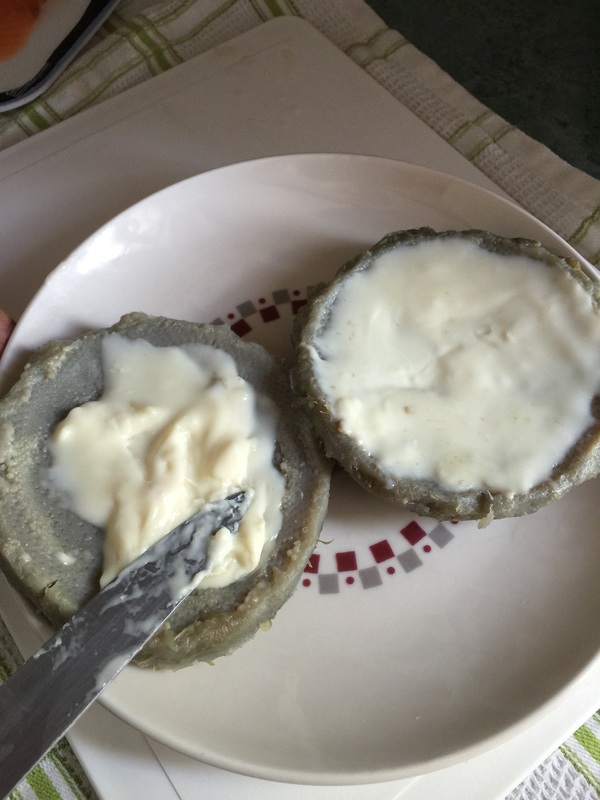 It will save you money if you do your own cooking most of the time. 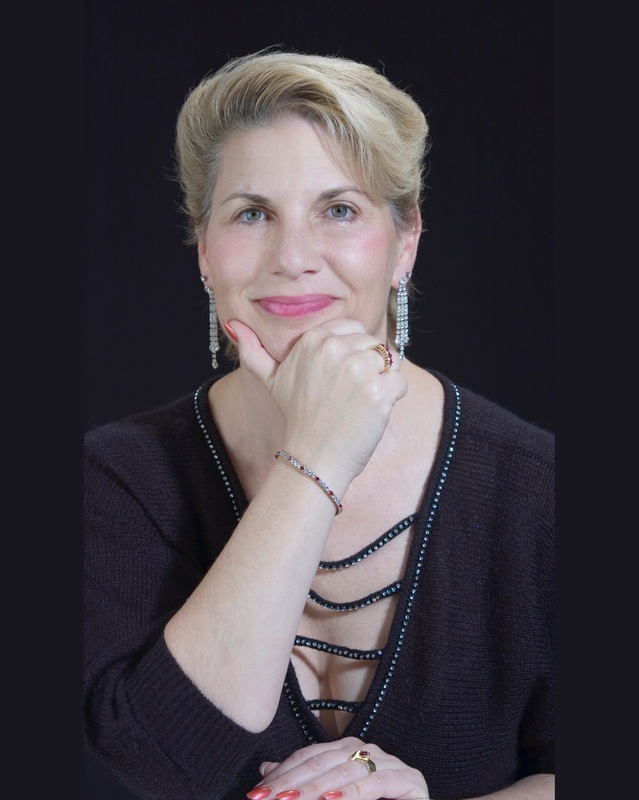 Choosing a location that is close to or in a place where you want to be is always a plus and finally, you may have a chance meeting with interesting people. 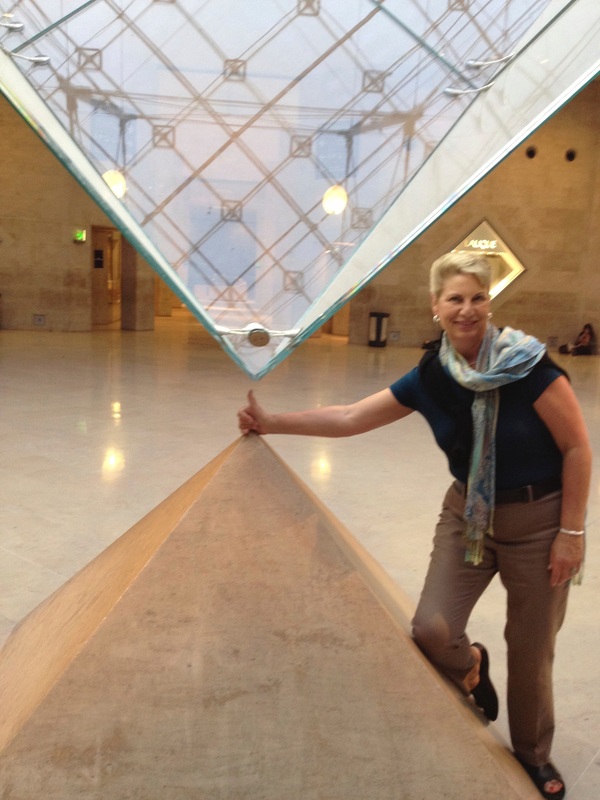 While this trip to France has mostly been focused on doing the necessary research to figure out where we would like to retire, once in a while we take time out to do something sort of touristy. 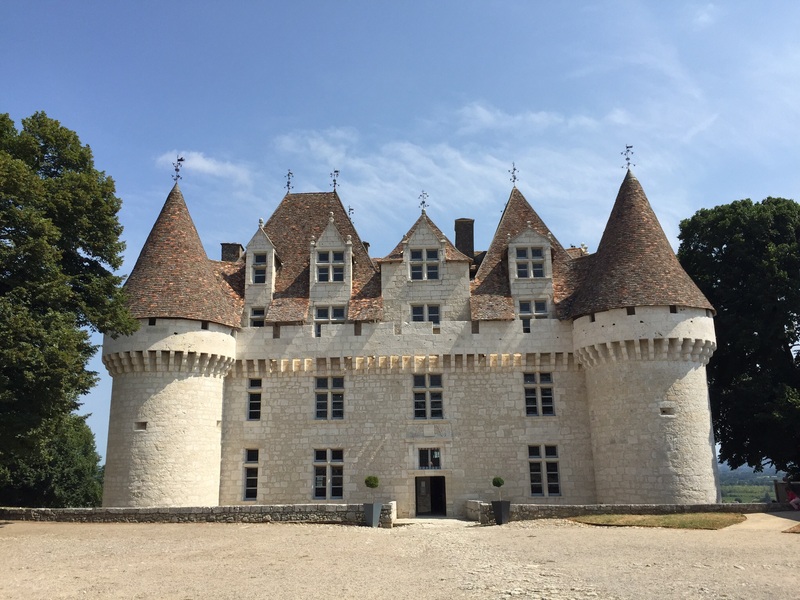 During our stay outside of Bergerac we were only five miles from Monbazillac, the center of the Château of Monbazillac and its famous wines. I had heard of these wines for some time but knew nothing about them except that they were white wines. We have never been big enthusiasts of white wines so we had never tried these. 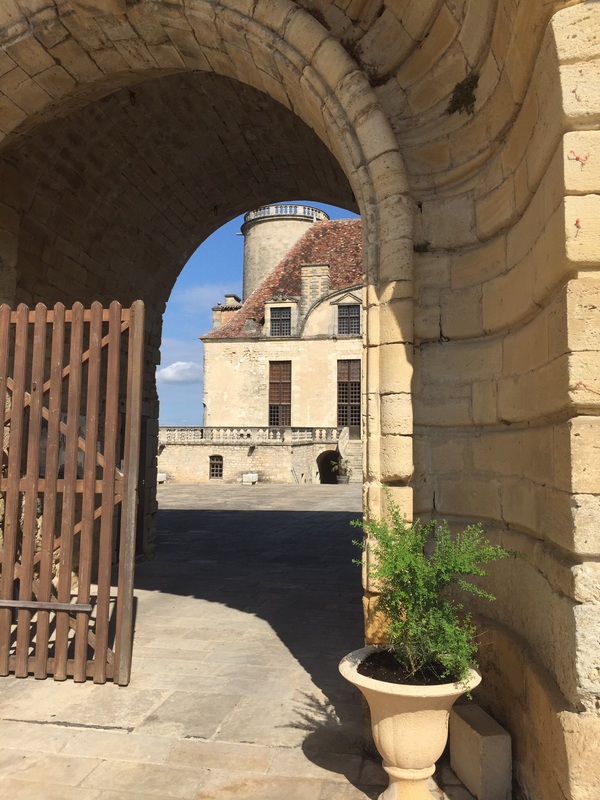 The small but magnificent Château of Monbazillac sitting on the top of the hill near our gîte first caught our attention and our curiosity about the wines followed. So we decided to brave the tourist scene and check it out. Fortunately, the real French and European vacation time has not yet begun so there were not really many people there when we arrived. 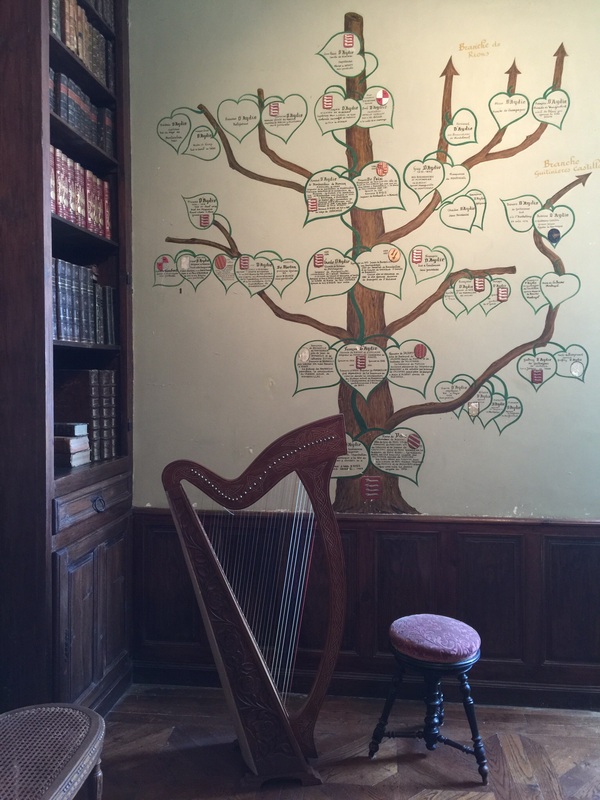 Also in our favor was the fact that unlike many châteaus, you can take a self-guided tour at your own pace. You have the run of the place… well, at least the parts they let you into and it makes for a very enjoyable, relaxing experience. 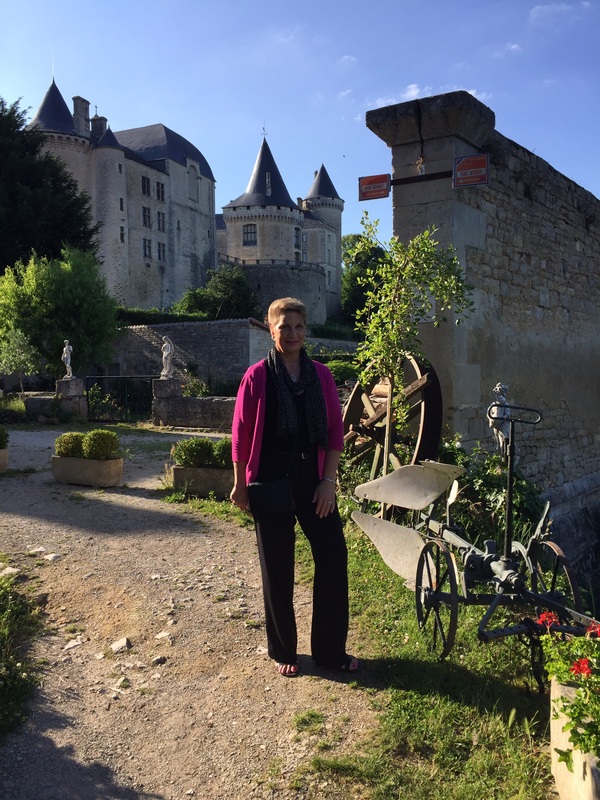 The château dates from about 1550 and is virtually the same today as it was back then. It has passed through the hands of seven families and amazingly escaped all the destructive periods of French history. It possesses all the typical modes of medieval defensive architecture including towers and a moat. Given the relatively small size of the château, we’re not really sure how these features managed to help defend it against the many threats throughout history, but apparently they did. 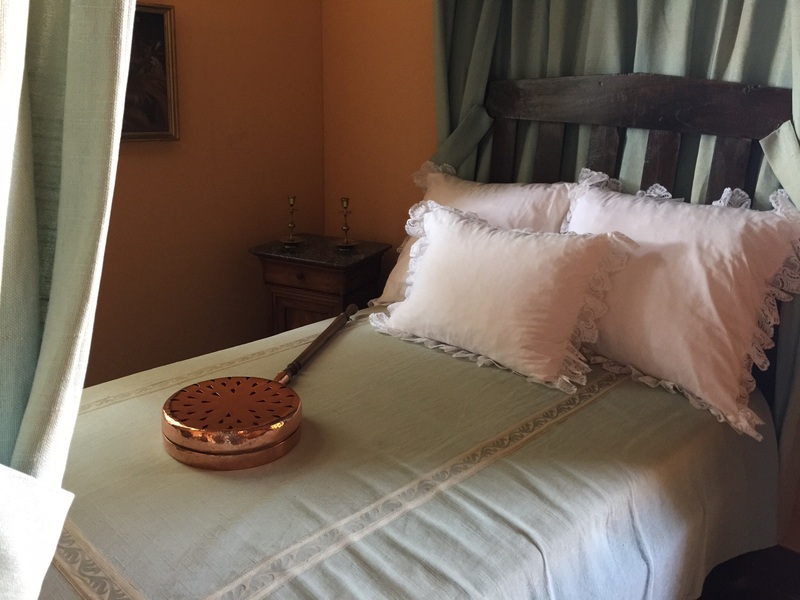 The eighteen rooms you are allowed to visit contain a variety of historical artifacts as well as period furnishings. These days, the 30 hectares (75 acres) of vineyards that belong to the château are managed by a cooperative winery that has the sole responsibility of financing and maintaining the château. What is unique about the wines produced from these vineyards is that the grapes are picked much later than most wine grapes when they are over-ripe and have a very high sugar content. This condition is assisted by the botrytis cinerea (or noble rot) that attacks the grapes in the fall. 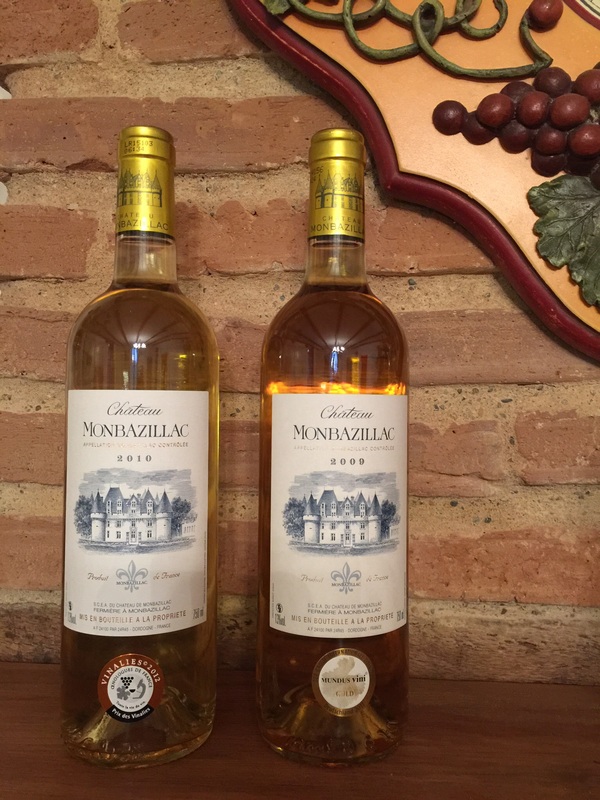 These grapes produce a variety of golden-colored wines with a wide range of sweetness. 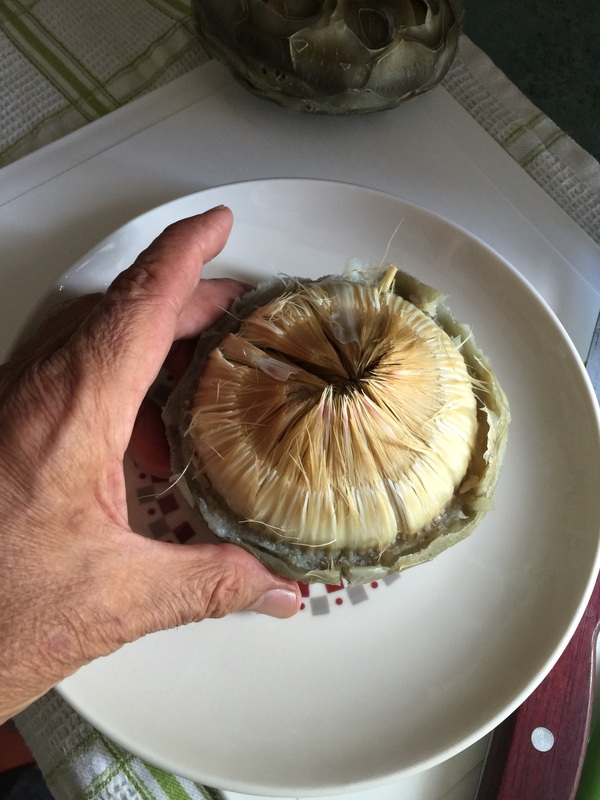 They are mainly designed to accompany desserts or cheeses, a typical French choice for dessert. 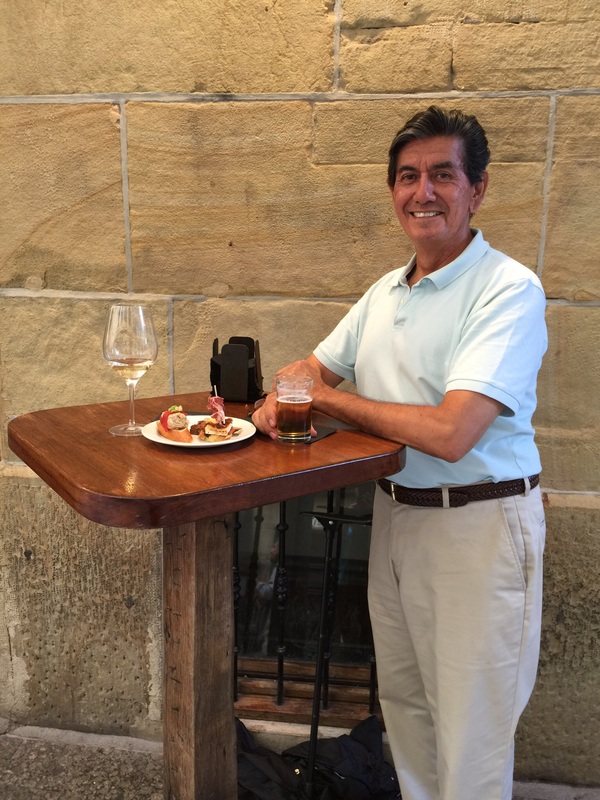 One thing we especially like about French wineries is that they provide very sophisticated wine tastings free of charge like we used to do in the U.S. before wineries became a form of entertainment and decided to charge an “entrance fee”. 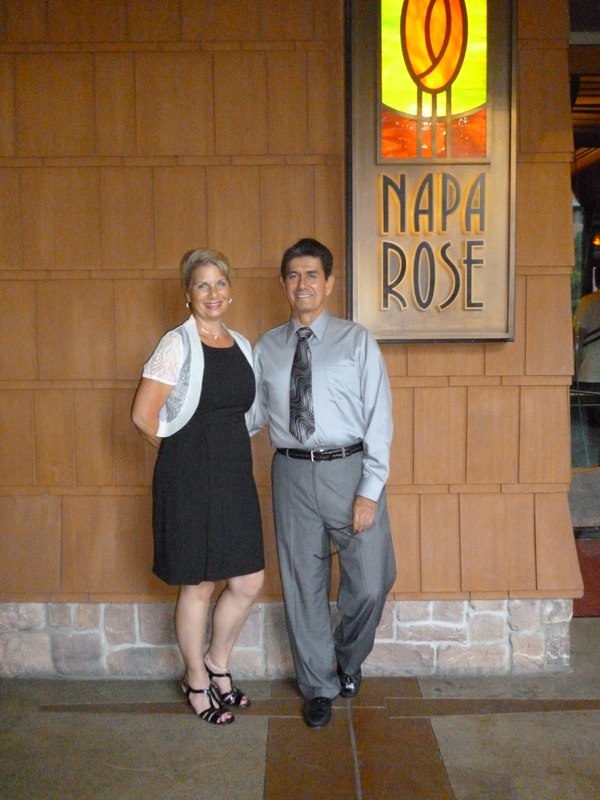 They are really interested in having you understand and appreciate their wines. At the end of our tour, we were provided a tasting of Monbazillac wines by a very engaging young man who helped us in English when our French faltered. To our great surprise, we discovered we liked the taste of these special wines very much. So, of course, we bought a couple of different bottles to enjoy during the next part of our journey. More amazing still… even the best of the selection cost half the price of anything comparable in the U.S. One more example of quality French food production and another reason why we are drawn to retiring in this country. Affordable quality trumps quantity any day! Our gîte in Bergerac is actually located 7 km. southwest of Bergerac only a few minutes drive from downtown. 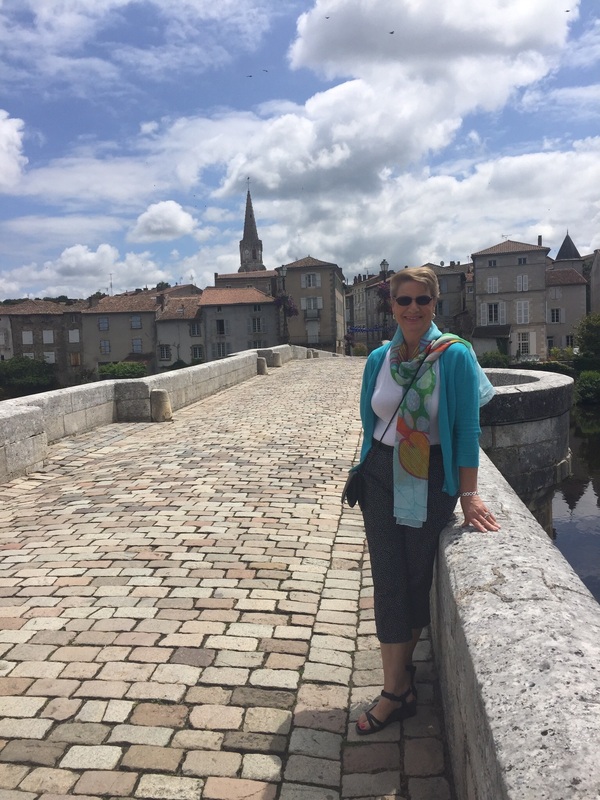 Bergerac is a quaint, small town of about 20,000. 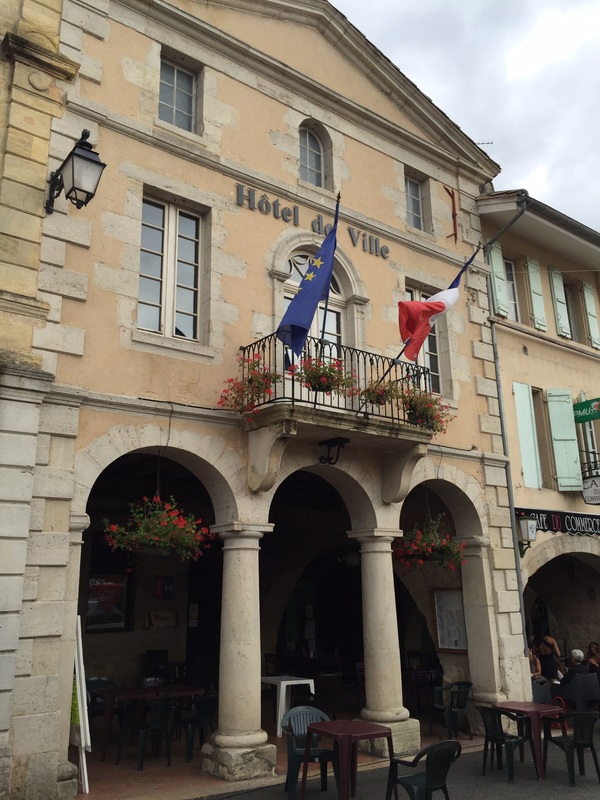 We spent some time there mostly in old town near the Dordogne river that bisects it. 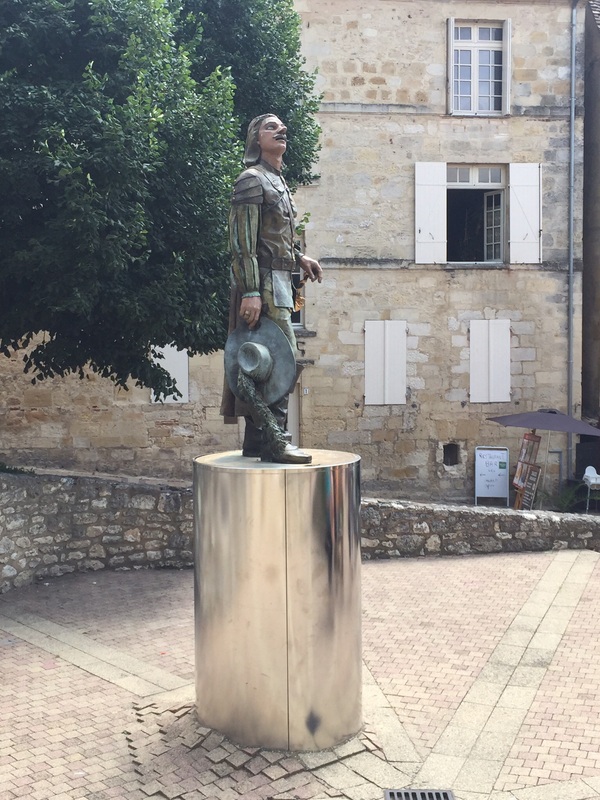 As the “birthplace” of the fictional character, Cyrano de Bergerac, it attracts tourists from all over the world. We heard Dutch, English (both American and British), German, and other languages we could not identify. While it is a charming and quaint town, it mainly caters to the tourists. On Bastille Day, what is supposed to be the equivalent of Fourth of July for the French, there were several events that were planned for the day. We had read that this celebration draws more than 30,000 spectators to the festivities. So, fearing a parking nightmare, we arrived early mid-morning and planned to spend the entire day enjoying the festivities. This is where it gets interesting. In the U.S., we have attended many festivities and festivals where you are elbow to elbow with thousands of people also attending these events. For five and a half hours, we were among…….200-300 people, most of whom were having lunch in one of several cafes and restaurants surrounding the popular statue of Cyrano. After walking around for a while, relaxing in the shade, and enjoying some “glace”, we realized that we still had six hours left until fireworks that evening. Nothing much was happening so we called it a day and headed back home. This experience made us think about the fact that we still have expectations based on experiences we have back in the U.S. Unless you are in a major city like Paris, the smaller towns and cities are much more laid back about such events and the scale of what actually occurs is proportionate. The next day, we wanted to take advantage of our time and explore the southern part of the Aquitaine region and so we plotted a rectangular route that would take us south to several large cities — Villeneuve-sur-Lot, Saint-Sylvestre-sur-Lot, Agen (the furthest city south and largest of them all with 33,000), and Marmande. On the way, we drove through and stopped in several towns and villages. All in all, it turned out to be more than six hours of driving. Was it worth it? Yes! Why? 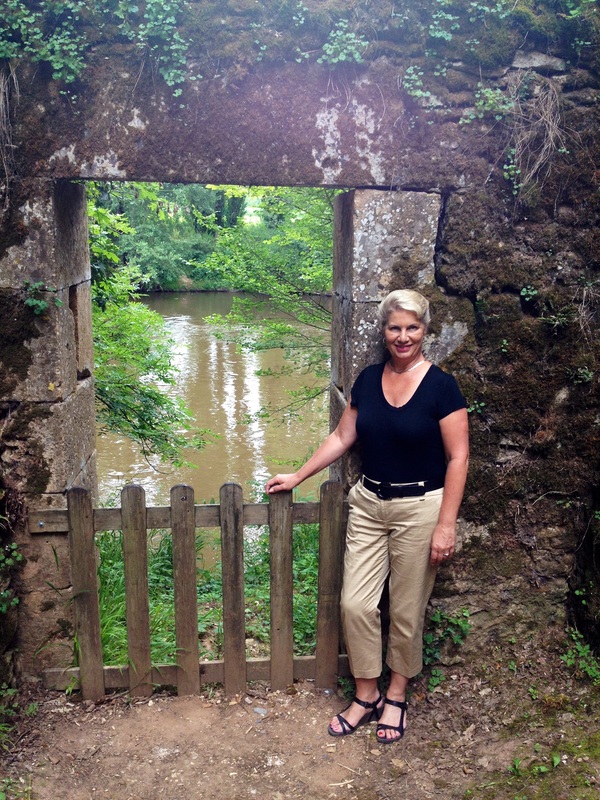 The main reason we are here for 8 weeks is to get to know a much smaller area of France in depth. In doing so, we will be able to narrow our interest considerably, choosing one or two smaller areas to come back to next year and spend several weeks getting to know much more intimately the location in which we may wish to settle. 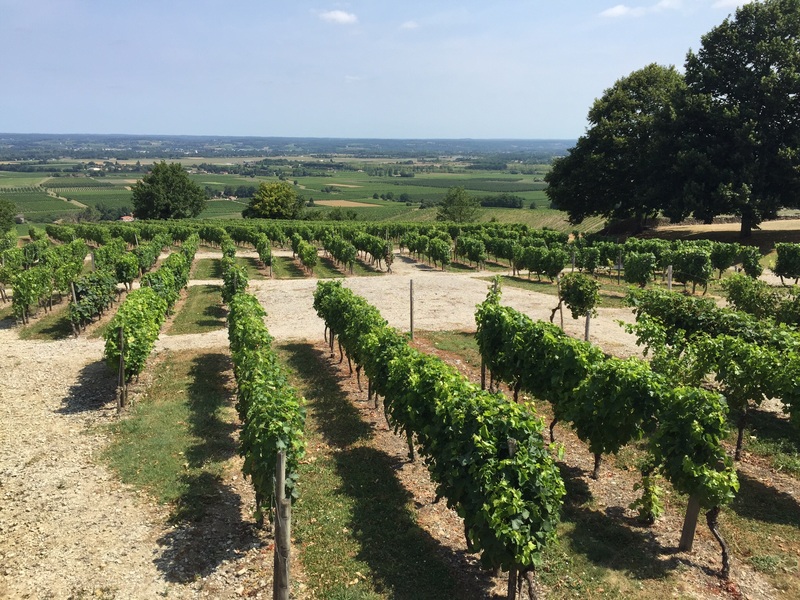 Bergerac is famous for its white wines and so the valley south of Bergerac is all vineyards. Once you head south, it doesn’t take long to leave the vineyards behind. As we headed south, the climate became hotter, dryer, and much more sparsely populated than anywhere else we have been. A few of the cities had interesting and beautiful parts, but what we noticed most was that in some cities, the economy was suffering with many shops closed. And, most of the cities lacked the appeal of a Périgueux or Bergerac. In the end, it was a positive experience since now we know better the areas that appeal to us and the areas that don’t. 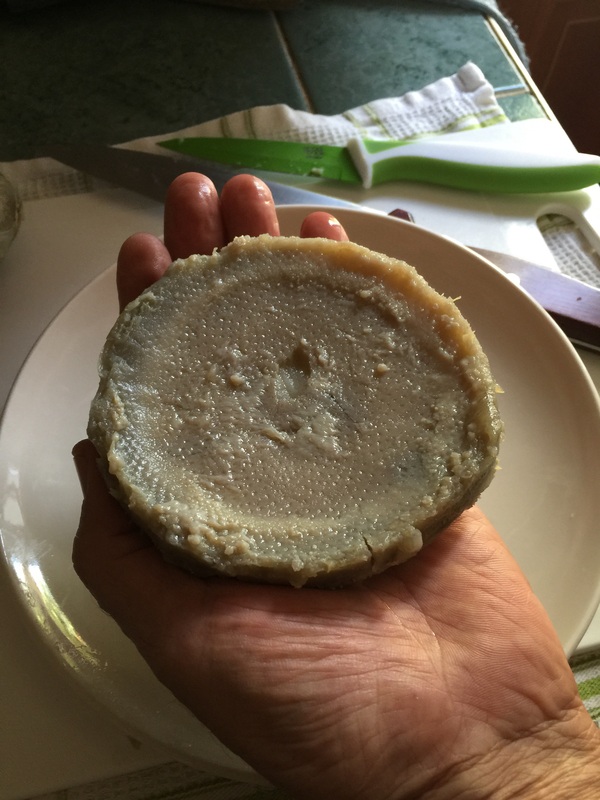 If you haven’t read the first post, The Gîte Life, from our trip in 2012, you might want to do that before continuing to read this post as this article continues from there. 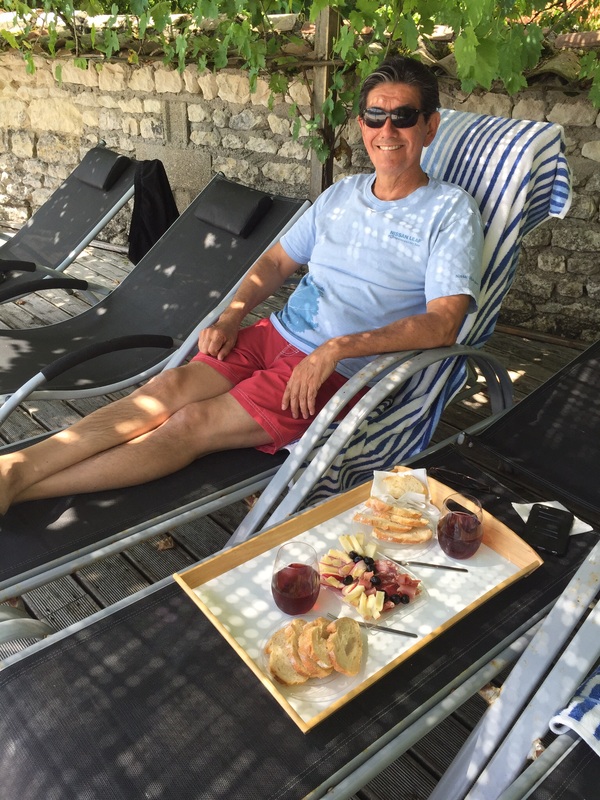 Experiencing the gîte life while traveling has its many advantages. However, there are many things that one has to get adjusted to and be prepared to do. I believe that our experience is unique because we have stayed and are currently staying in France for a lengthy period of time. Most people who stay in gîtes stay in the same gîte for only a week or two during their vacation and then return home. We move every week to a new location. 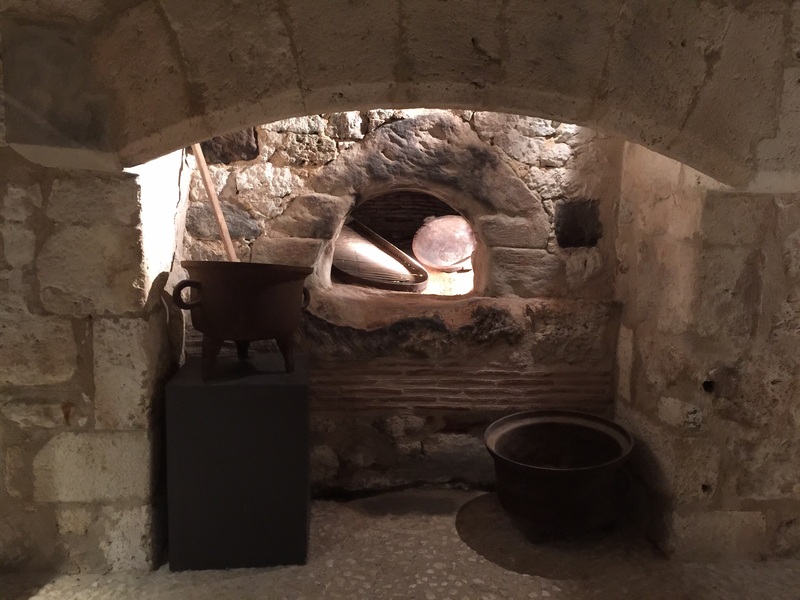 Nevertheless, if you plan on trying a gîte on your next vacation to France, there are some things you should consider. First of all, a gîte is intended for those who wish to avoid the high expense of hotel rooms and who would rather prepare their own meals as opposed to eating out every day during their stay. In gîtes that offer several accommodations, an opportunity to meet and get to know people from around the world can present itself. Recently, we got to know a couple from Scotland. They were very interesting and we enjoyed a long conversation at the pool during a hot summer spell. Secondly, while gîtes can be found in towns and villages, the majority of them are located near or within a few minutes driving distance from them. After all, most gîtes are created from existing buildings that were once a hay barn, tobacco barn, pigeon tower, winery, family residence, or hotel and have been renovated into separate quarters that are self-contained. Thirdly, gîtes are self-catering, meaning that you will be completely on your own just like you are in your own home. No one will come in daily to clean up after you, change your sheets or towels, wash your dishes or make up your bed. Furthermore, even though people from around the world stay in gîtes, the vast majority of them are occupied by the French who may spend a week or two of their vacation in one gîte just relaxing, sitting by the pool talking while the kids play or just reading. This type of accommodation allows one to slow down the pace and enjoy a much anticipated rest. So, if your idea of a vacation is to use every minute to try and fit in every possible tourist sight and event in order to maximize your vacation time, maybe a gîte might not be as suitable for you as say, a hotel. You will after all save lots of time, won’t have to make up the bed or pick up after yourself, and if your hotel offers breakfast, well voila!, Just be down at the lobby before 9:00 a.m. to beat the late comers. Oh, don’t forget, you’ve got to think about lunch, dinner, and snacks for the kids! 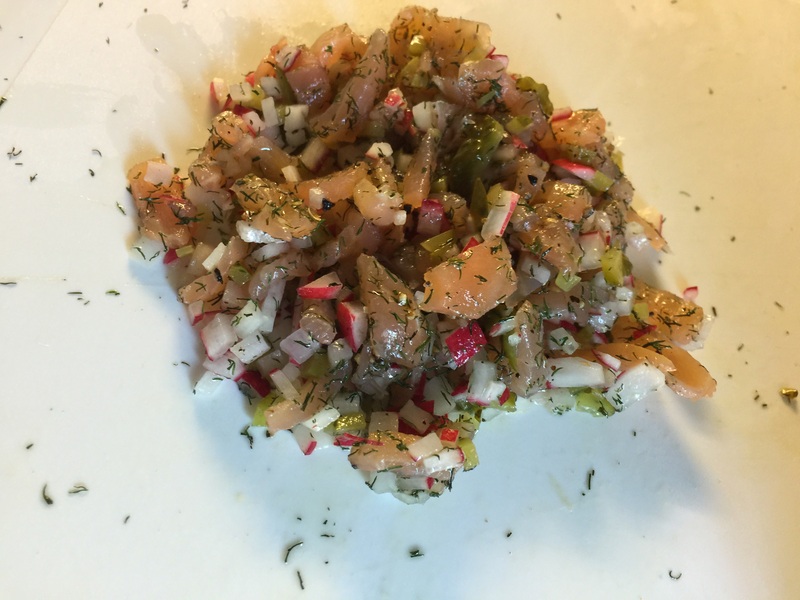 Well, if you ever do want to try the gîte experience, here are some facts and suggestions on how to go about it. Decide how much you want to spend per night. Prices vary widely depending on location, amenities, and level of luxury. Like anywhere in the world, the more luxurious the accommodations, the more money you will spend. The main reason we have decided to keep our expenditure to around $100 per night is because we are staying for so long (8 weeks). Decide on the amenities. Will you need a dedicated parking spot for your leased or rented car? How many beds/bedrooms? Wi-fi? Television? Pool? Private bathrooms in each bedroom? Full kitchen with dishwasher and oven? Air conditioning? Washing machine? Within walking distance to a market, bakery, bank, etc? There are several websites that you can use to inform yourself of many gîtes and their locations. Plan far in advance to be able to book the accommodation you want. Minimum, 6 months. The best places have regular guests who often book a year ahead. You will find that many accommodations are listed on multiple sites. This is a good way to cross check and get a variety of view points and opinions on each accommodation. It also helps to verify their legitimacy. You want to make sure that the places actually exist and that they are truly what they claim to be. The process of researching these accommodations takes a lot of time, but in the end, it is well worth it! My wife is exceptional at this and has untold hours of practice. In all of our travels, we have rarely been disappointed with the accommodations. Keep all this in mind and stay tuned for the next installment about The Gîte Life.